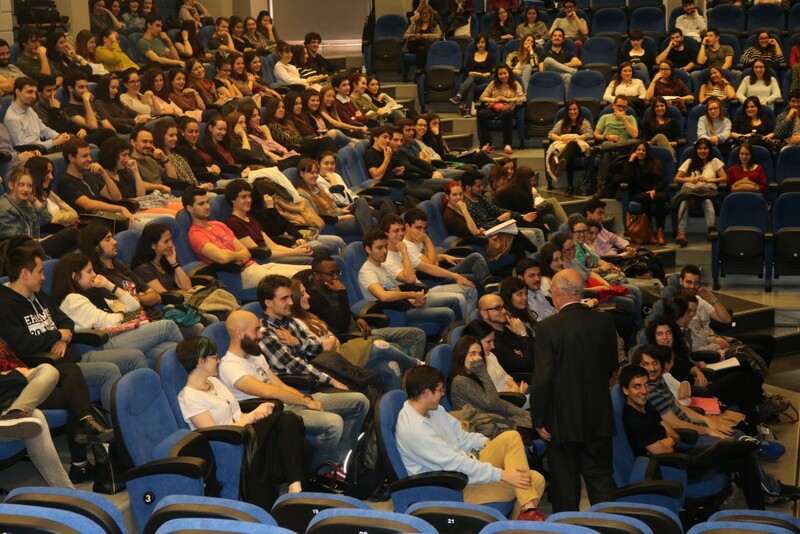 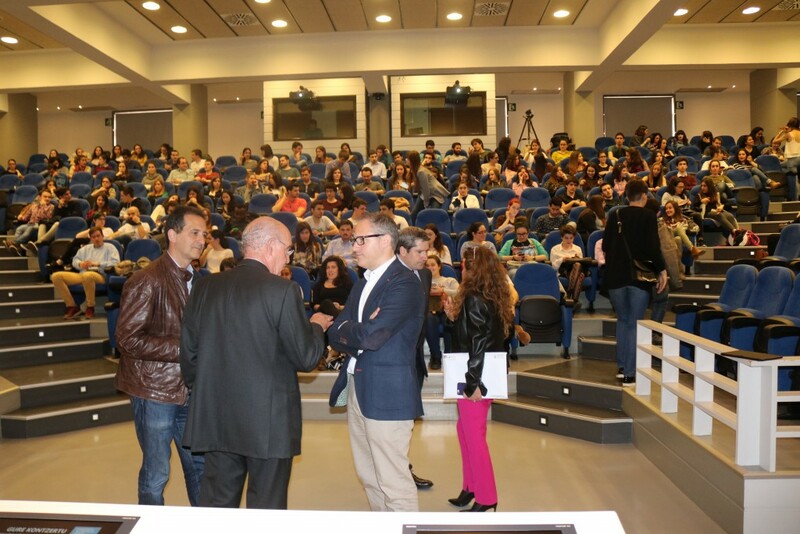 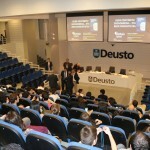 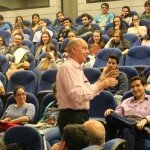 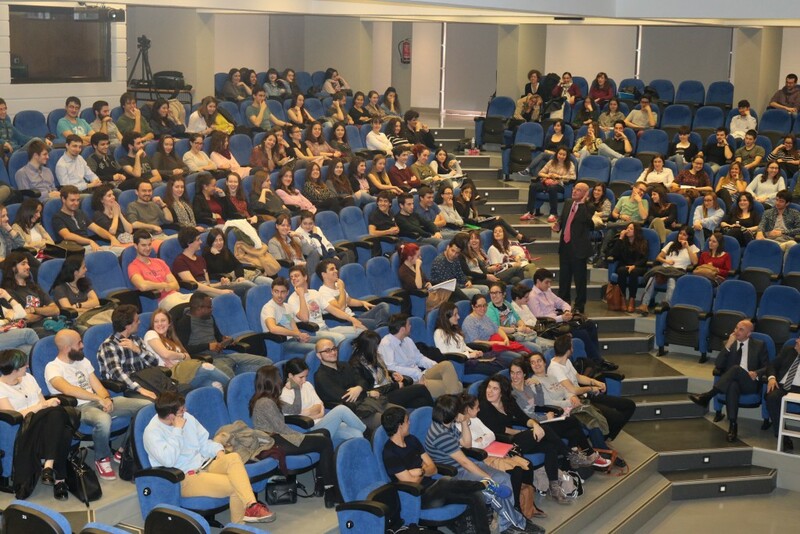 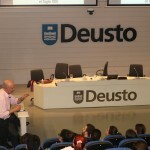 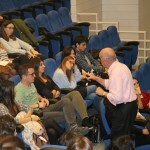 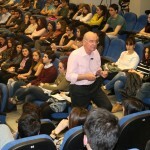 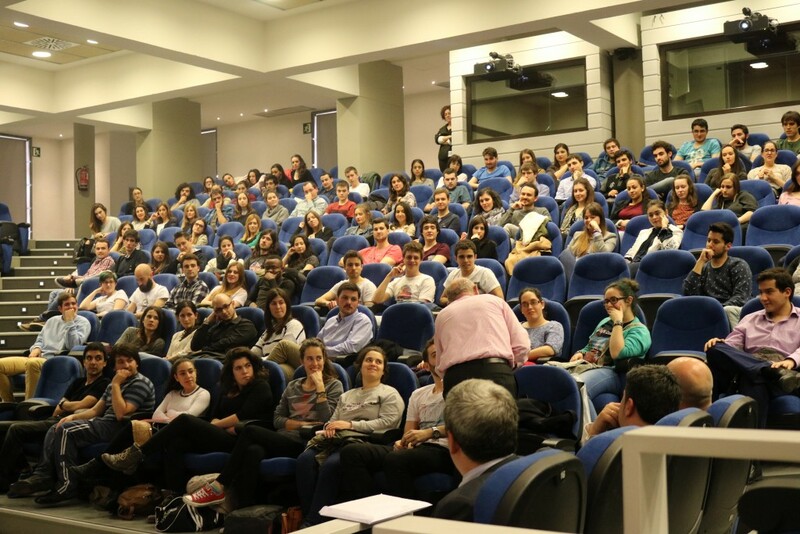 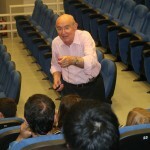 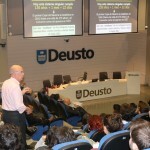 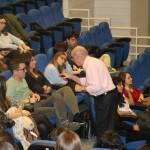 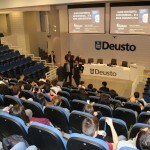 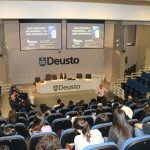 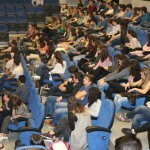 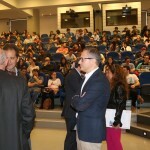 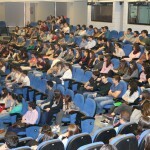 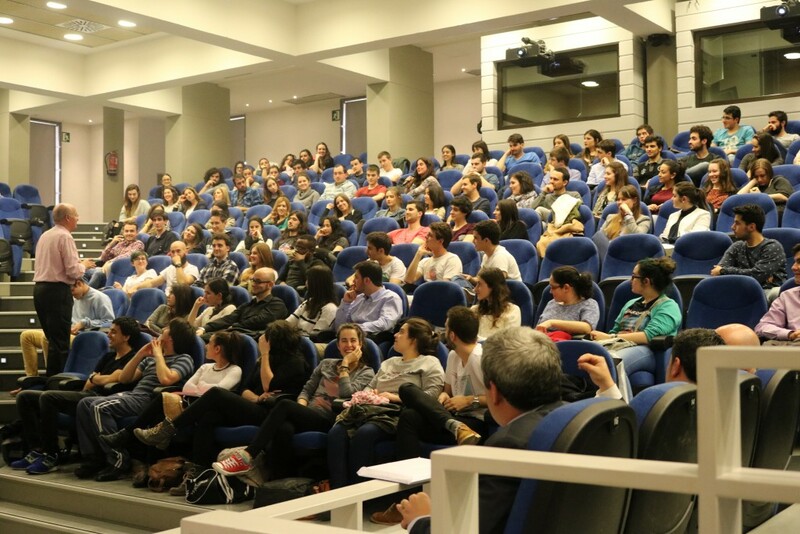 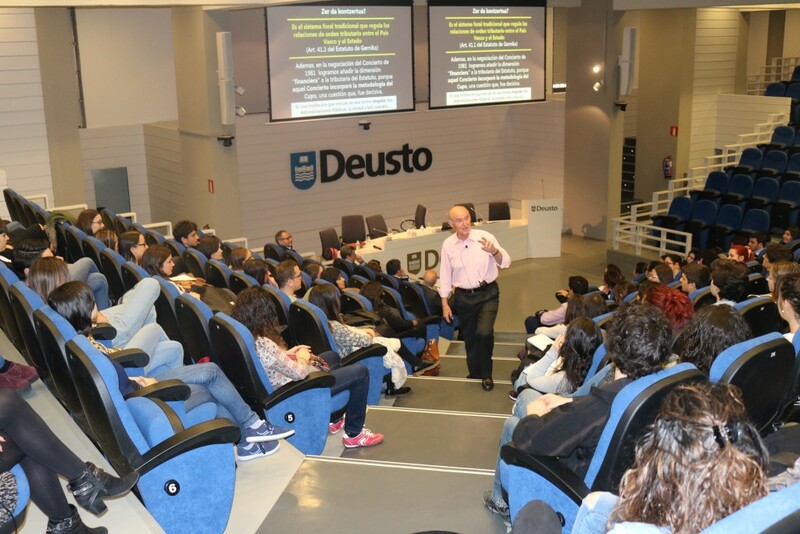 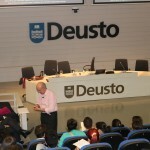 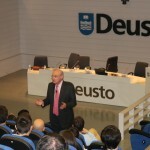 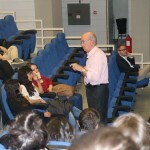 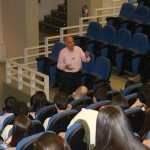 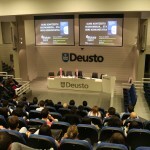 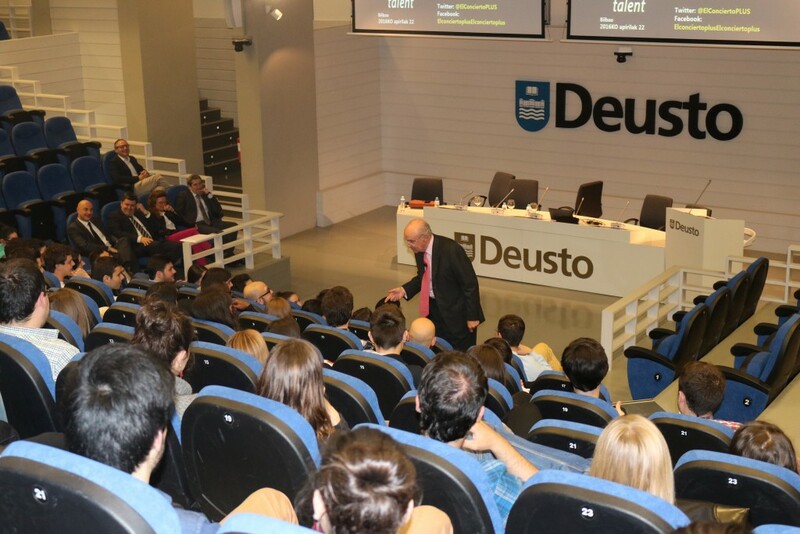 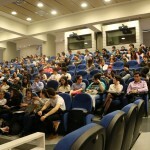 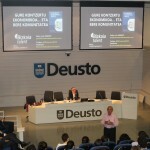 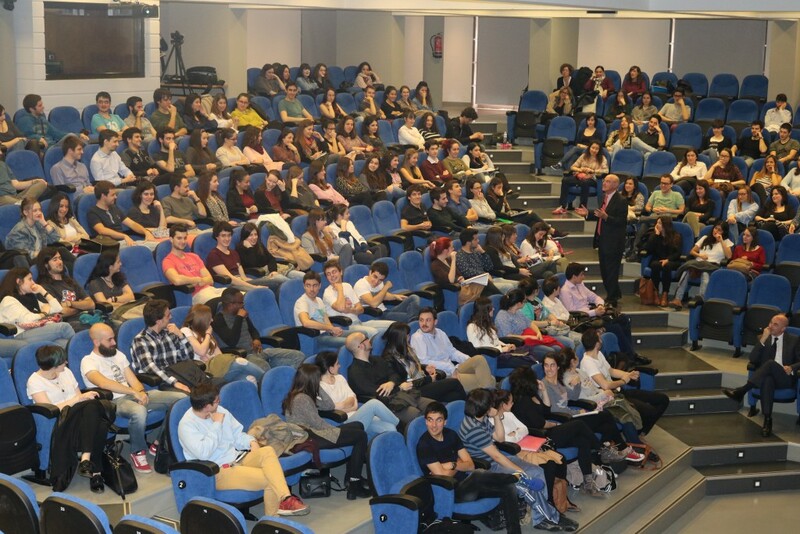 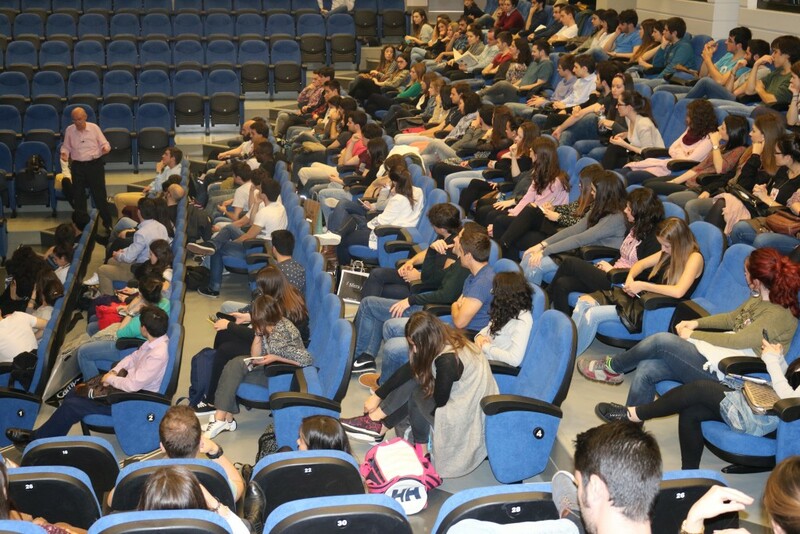 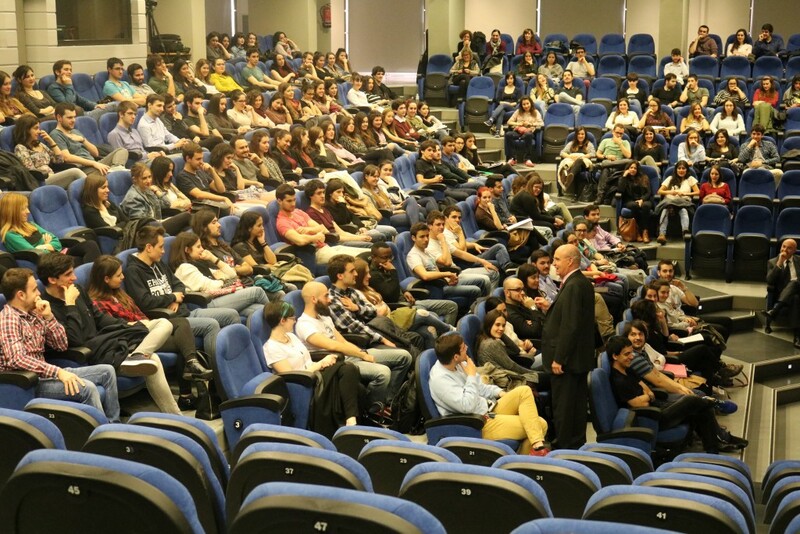 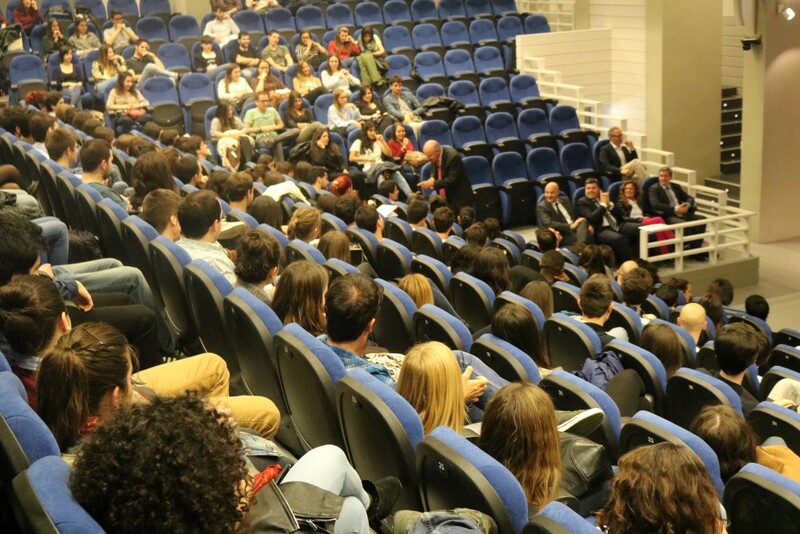 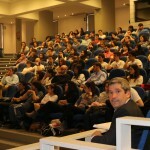 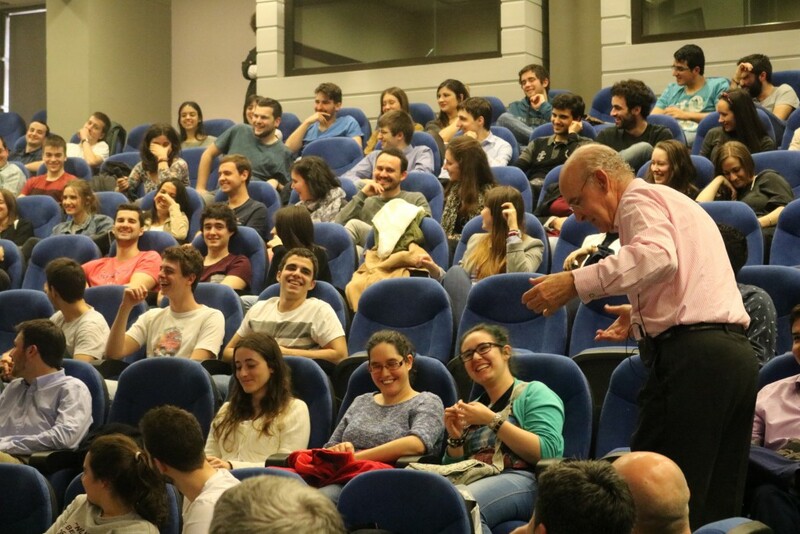 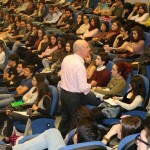 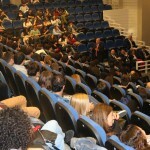 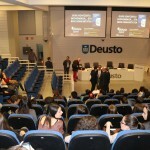 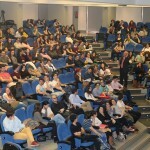 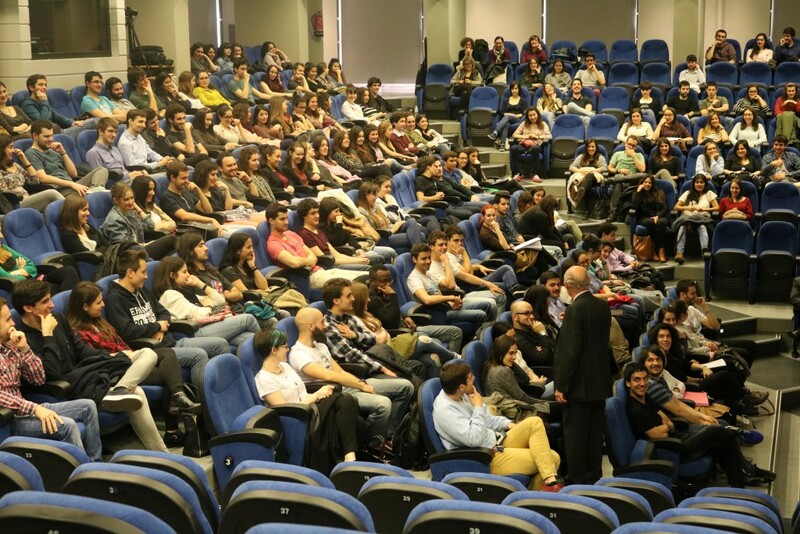 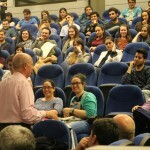 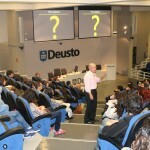 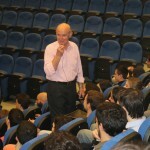 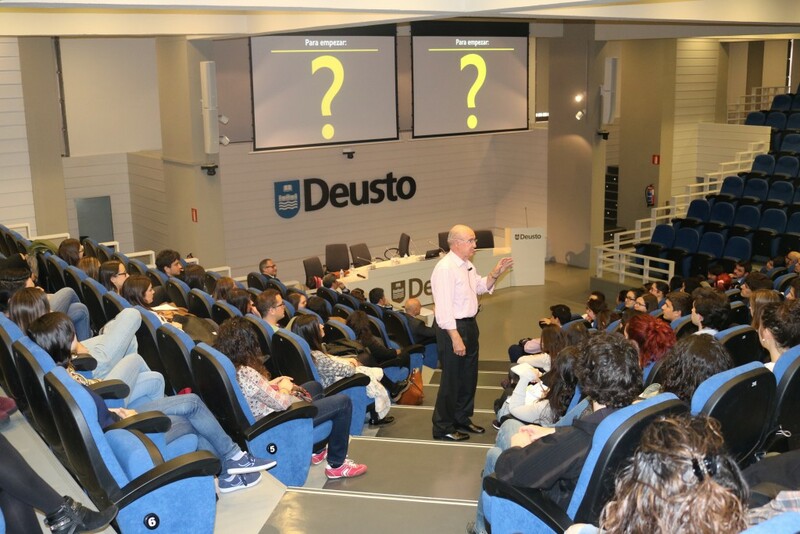 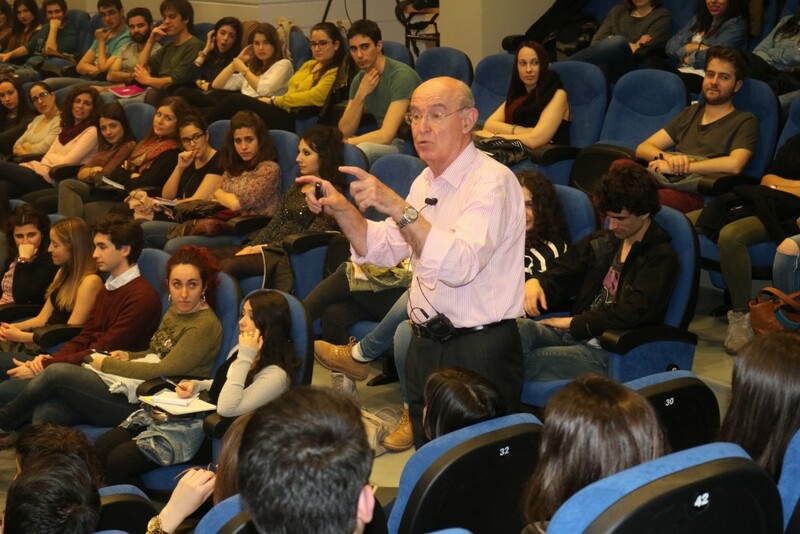 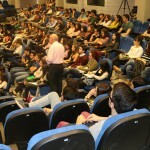 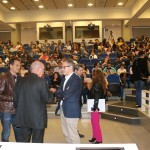 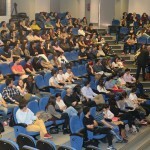 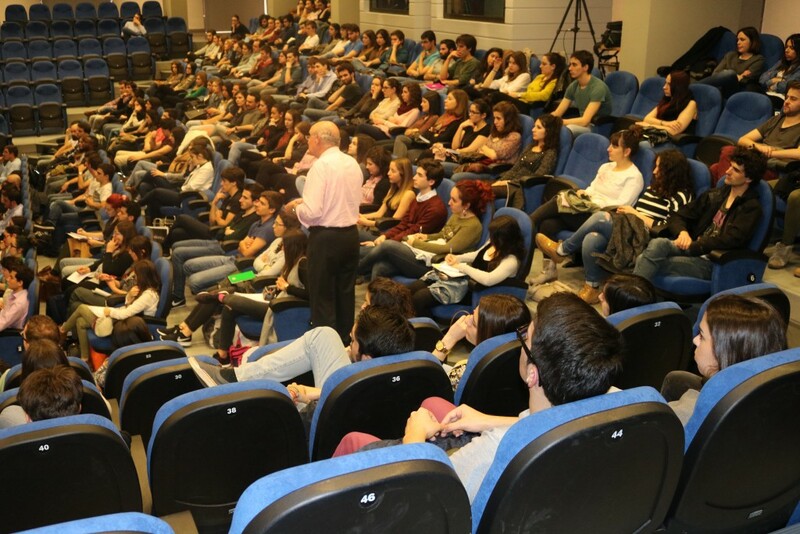 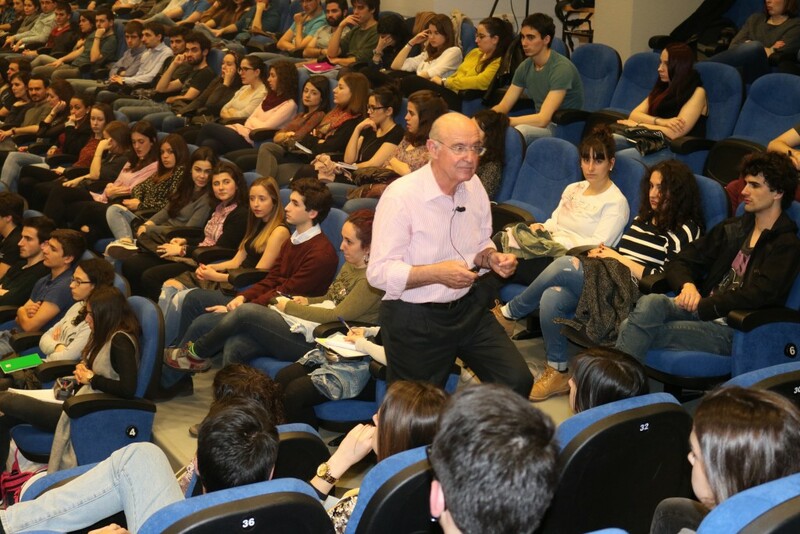 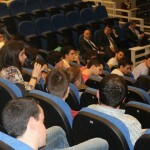 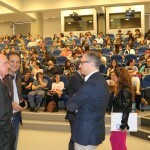 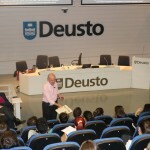 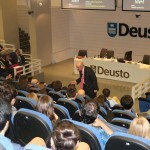 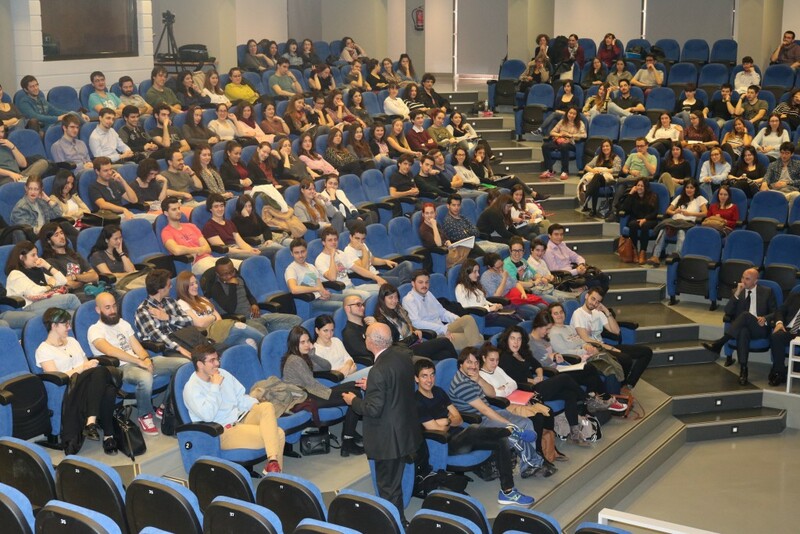 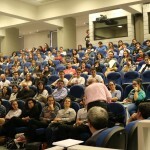 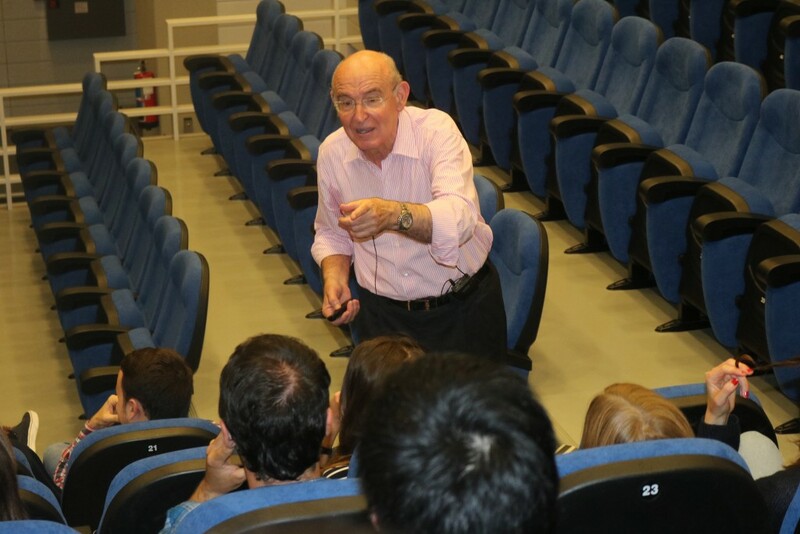 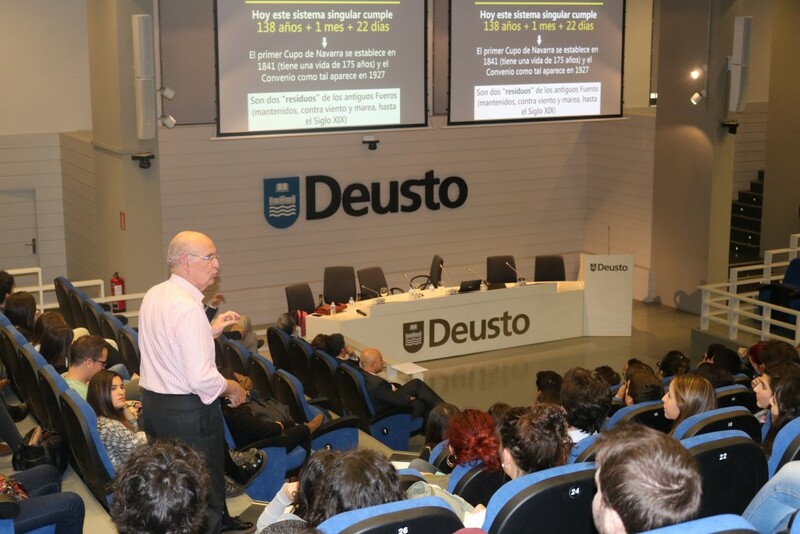 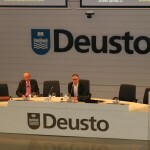 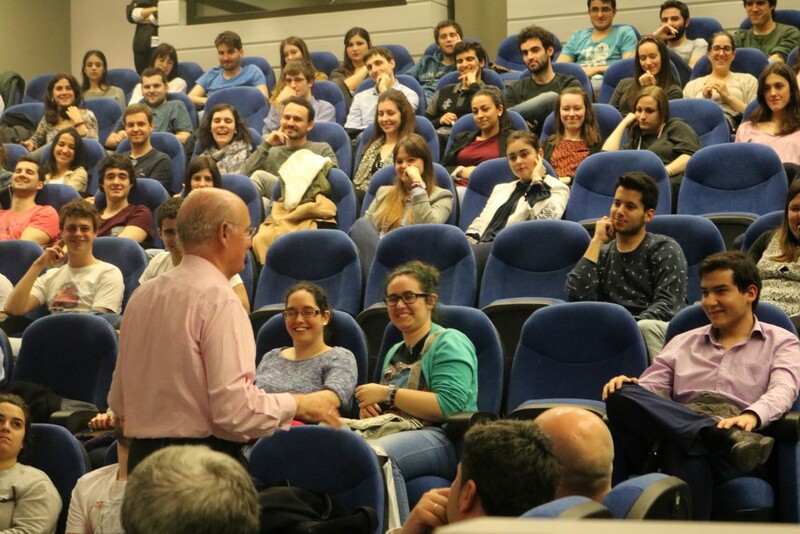 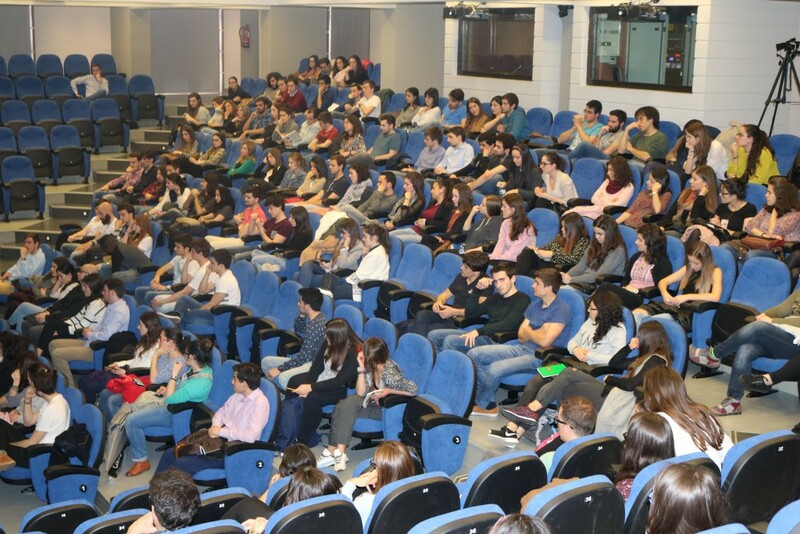 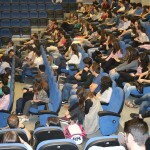 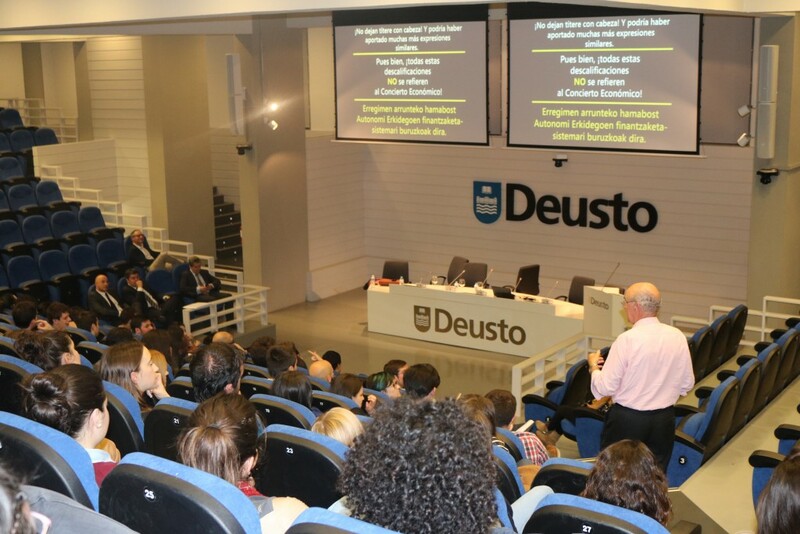 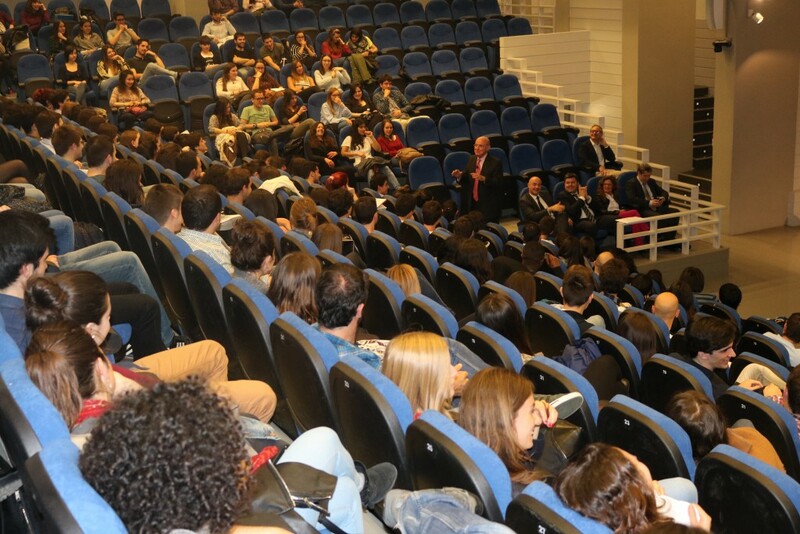 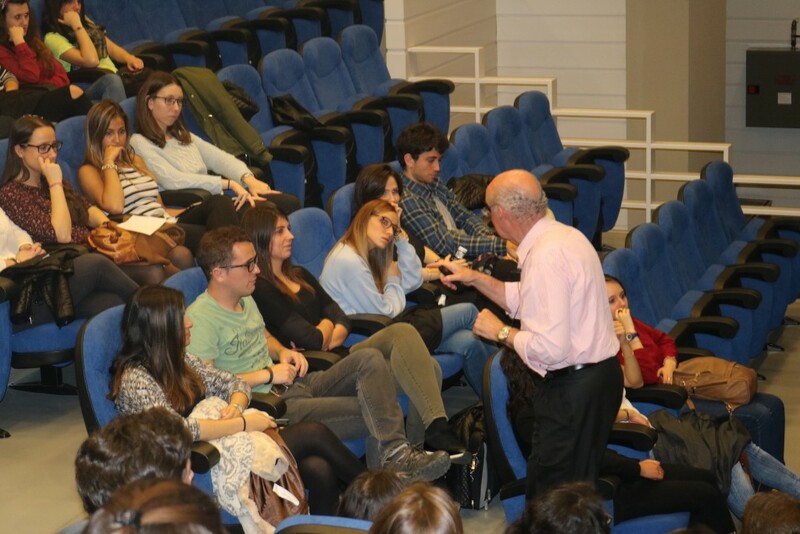 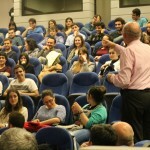 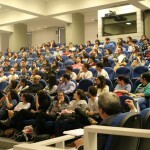 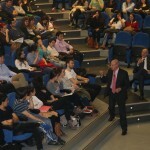 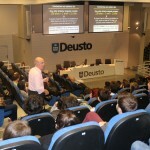 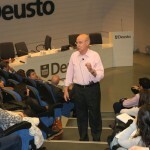 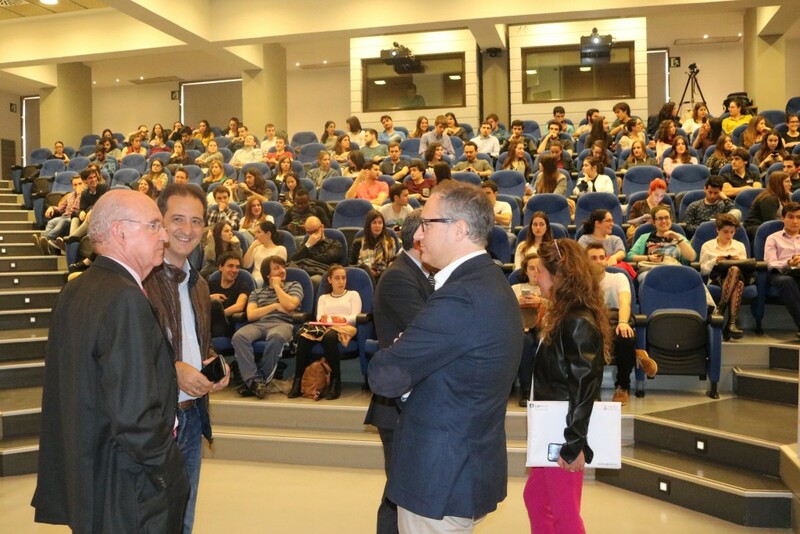 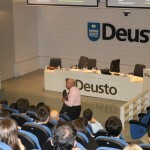 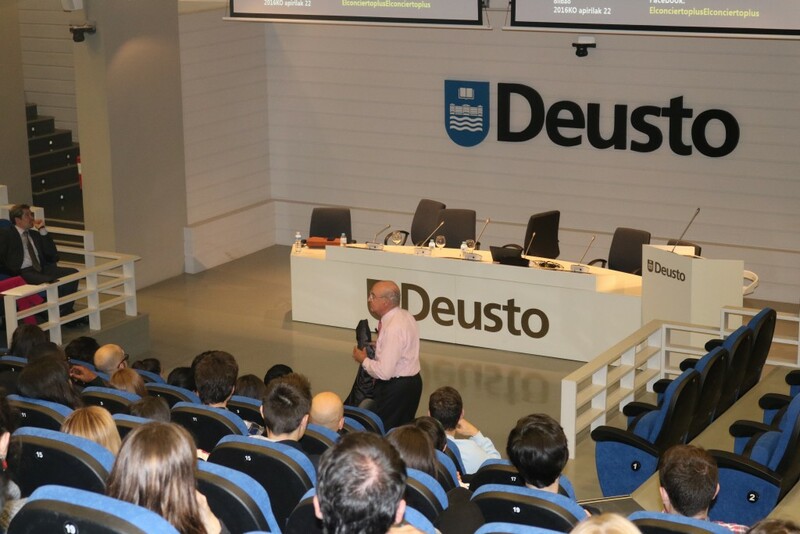 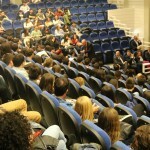 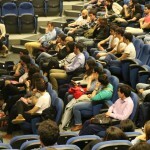 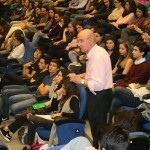 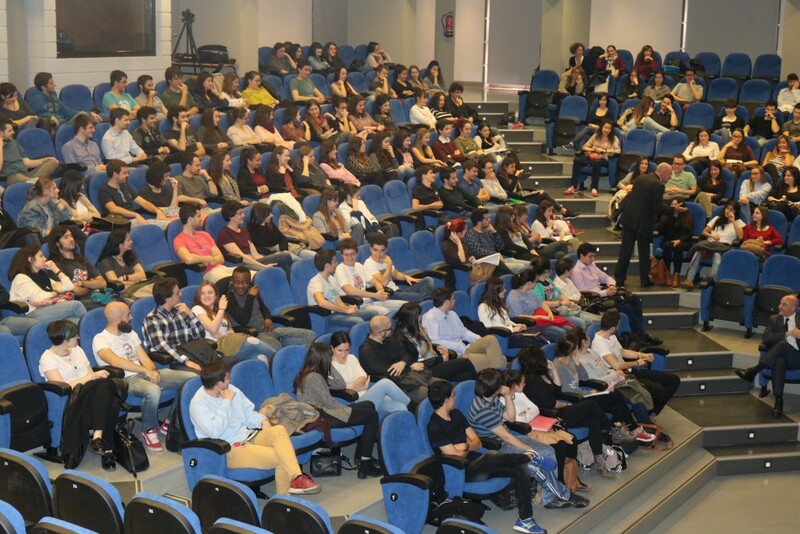 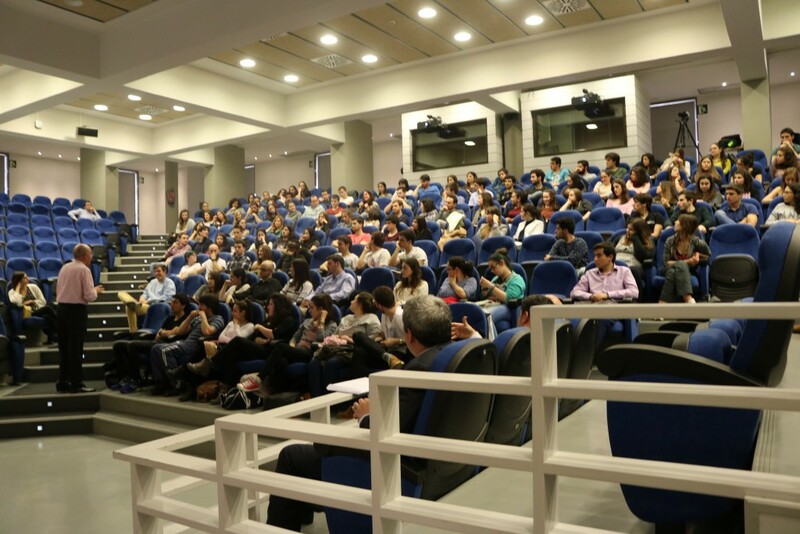 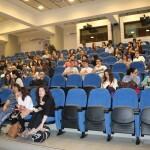 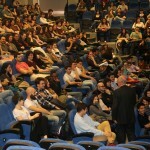 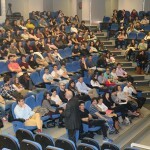 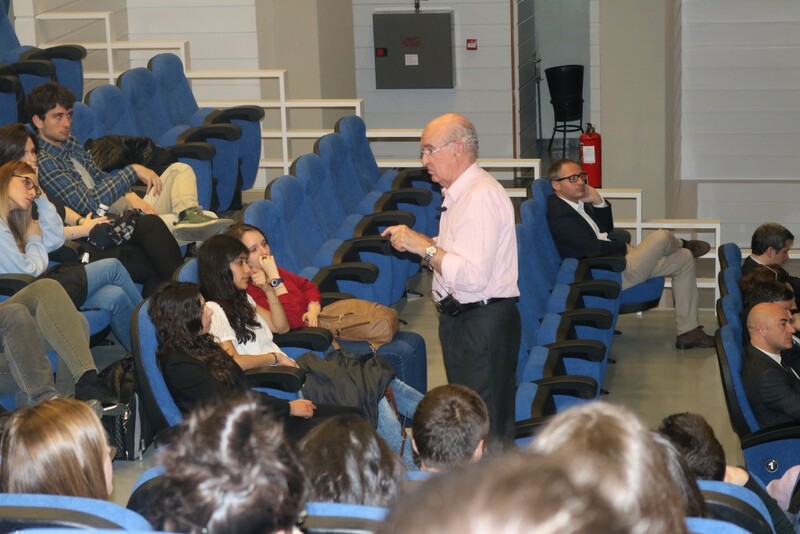 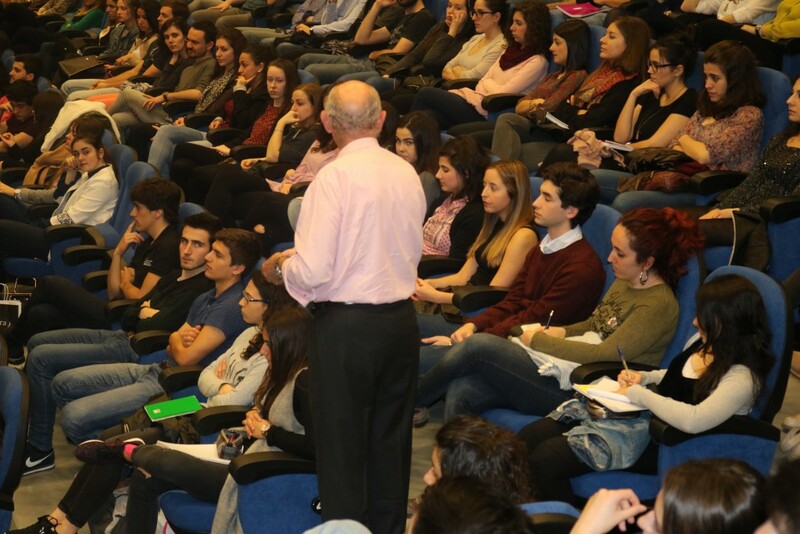 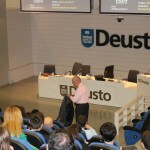 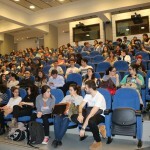 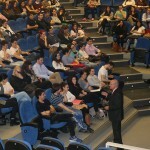 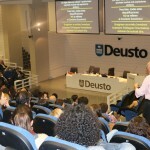 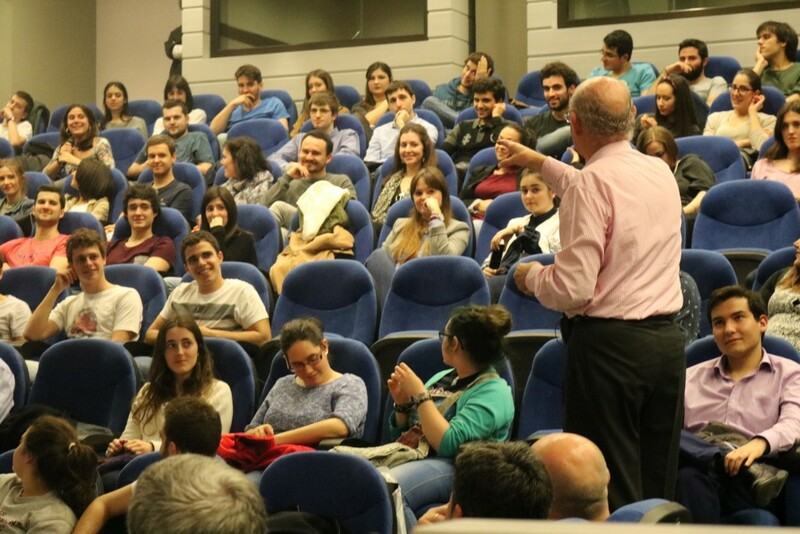 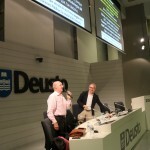 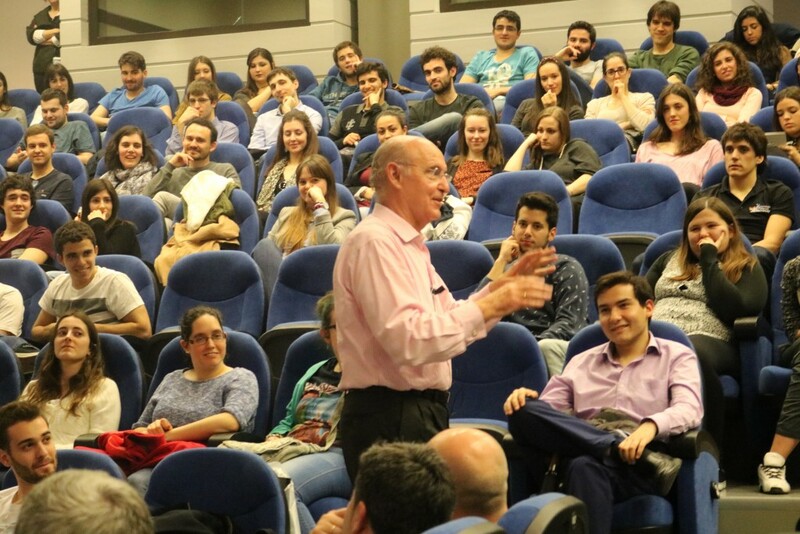 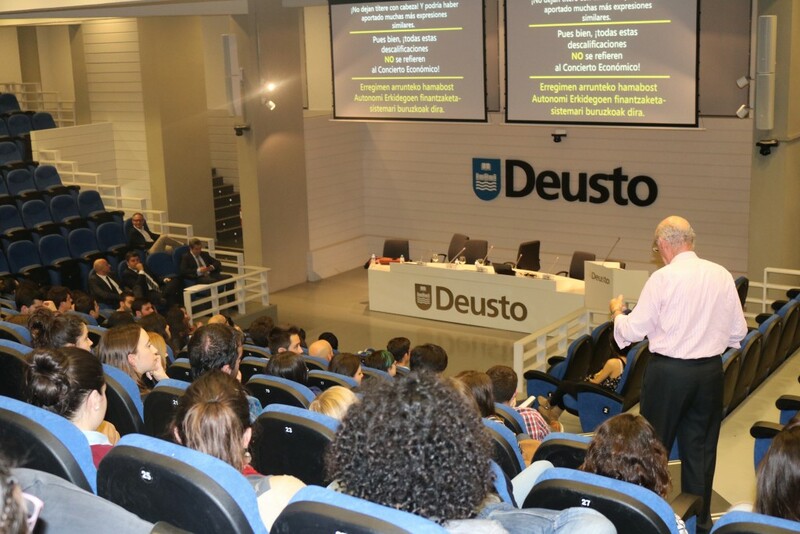 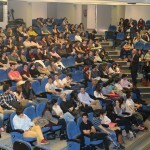 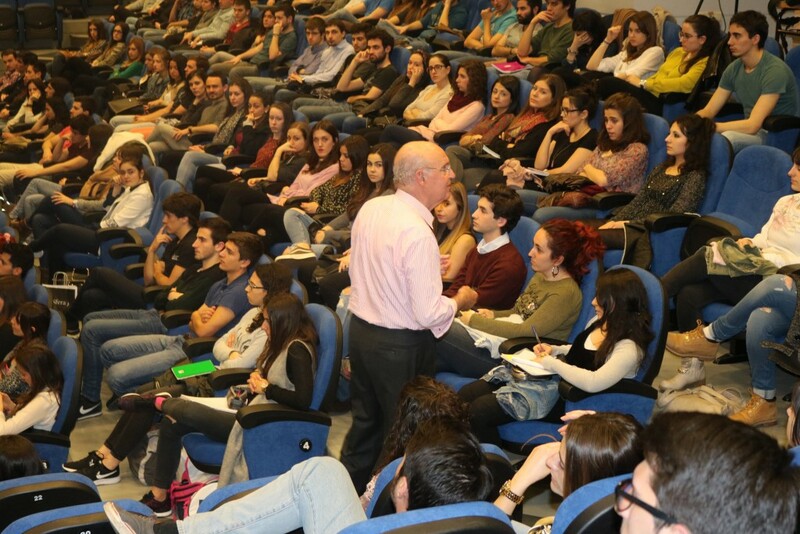 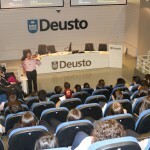 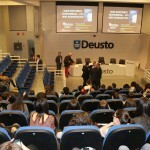 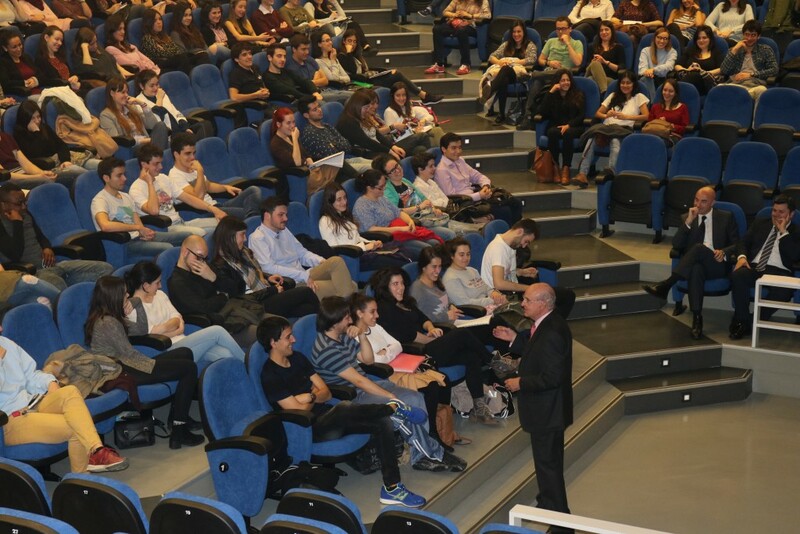 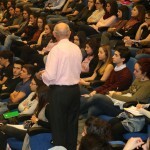 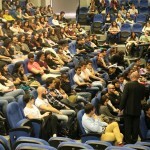 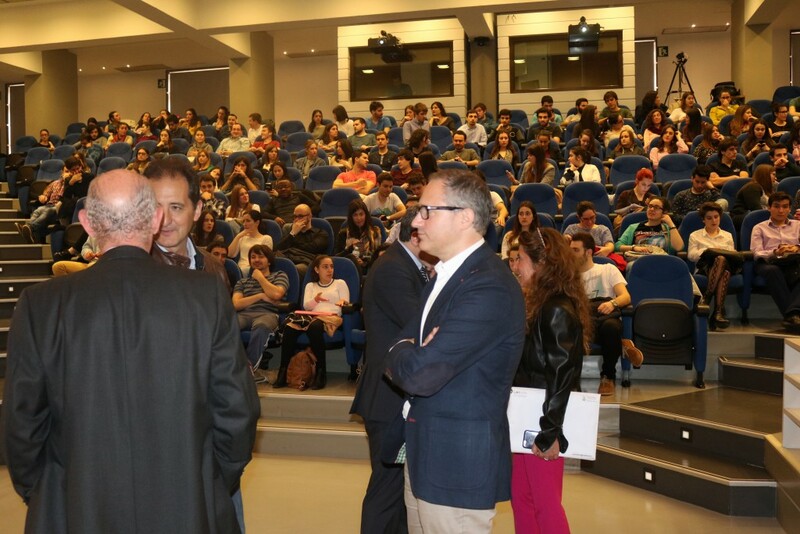 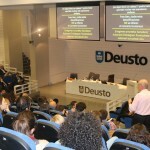 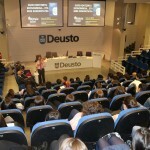 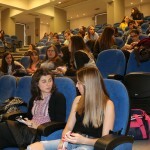 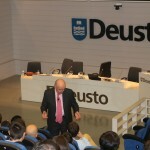 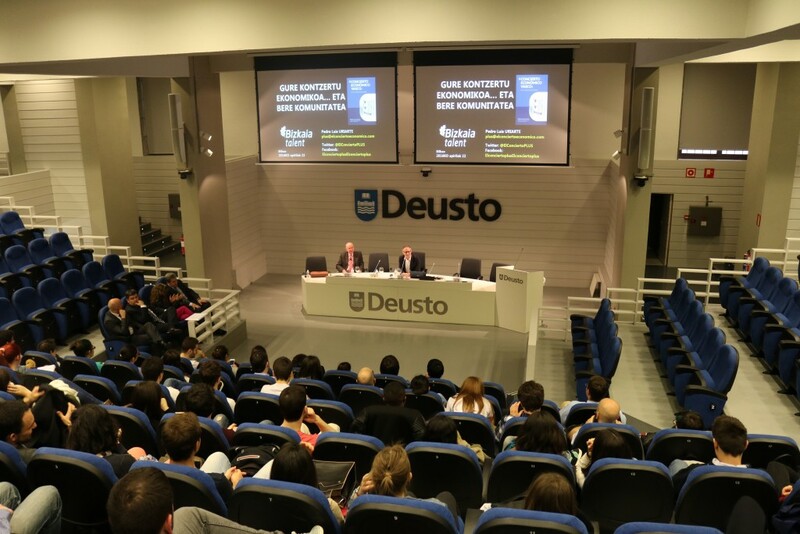 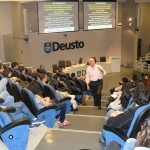 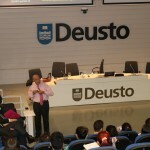 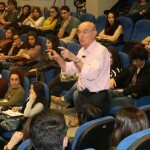 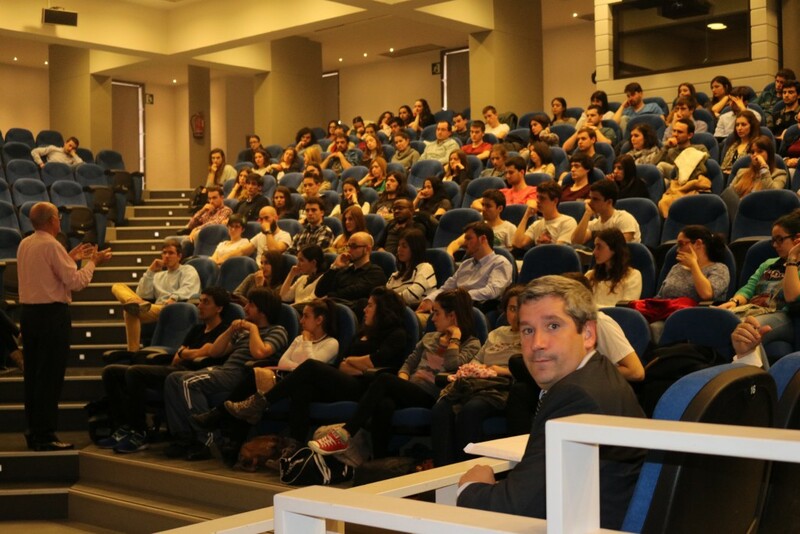 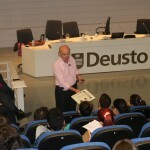 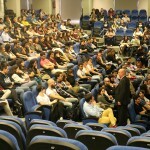 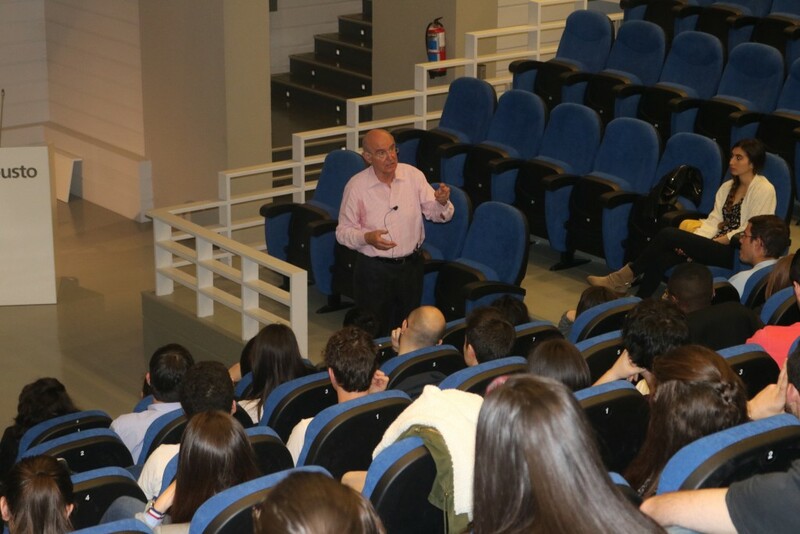 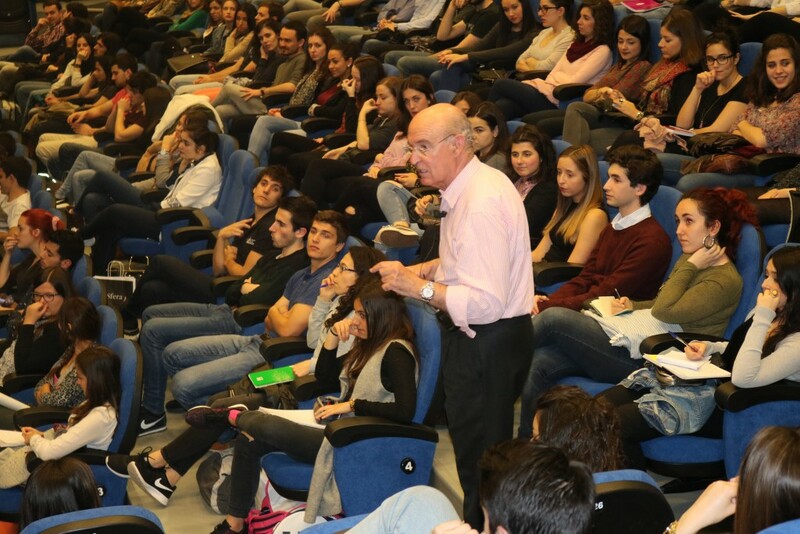 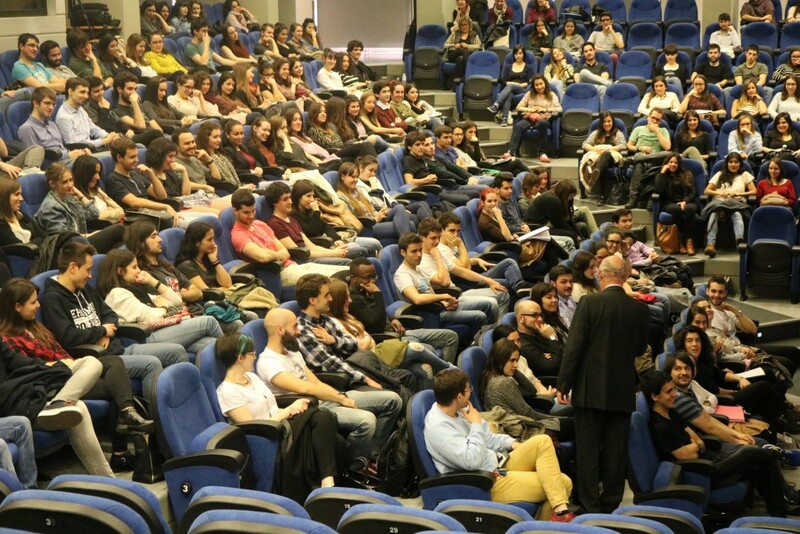 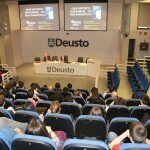 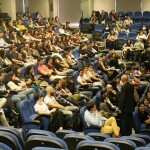 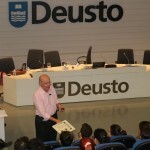 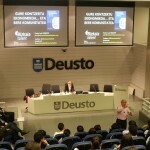 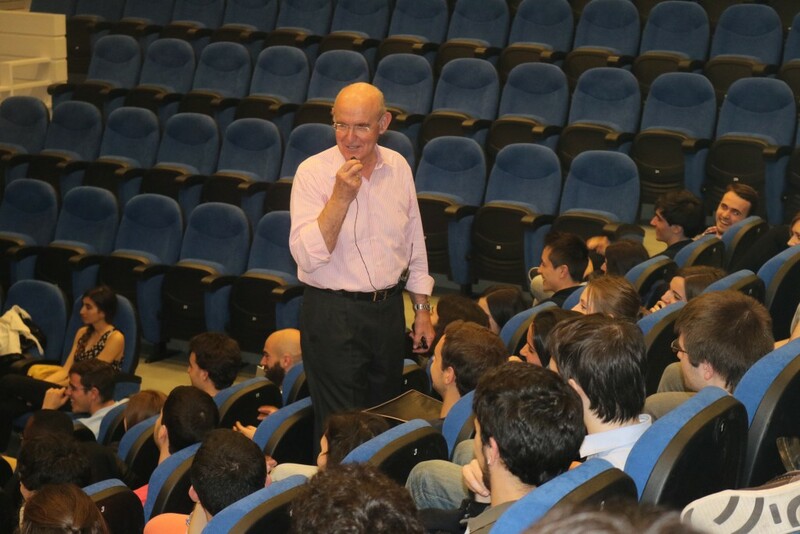 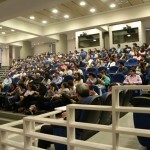 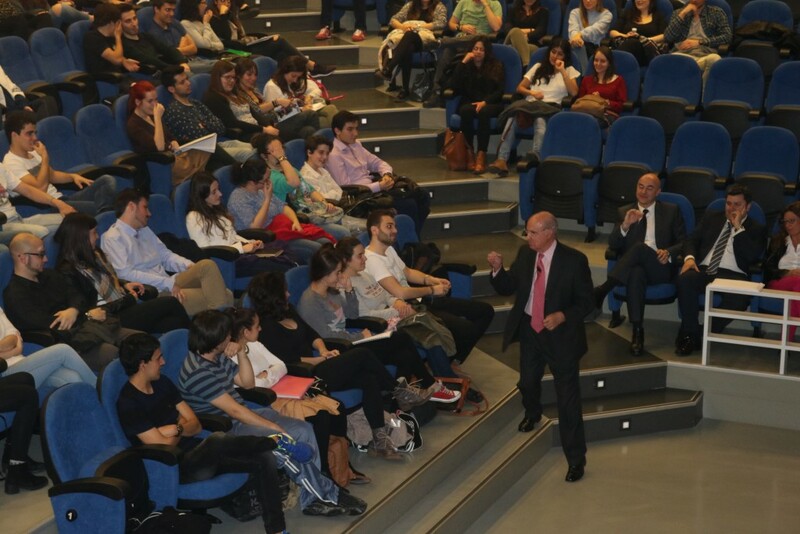 Nearly two hundred participants from the seventh edition of the Talentia Programme attended last Friday, 22 April, the Conference “Basis of the Economic and Social Development” by the former Regional Minister of Economy and Finance of the Basque Government and Chairman of the Negotiating Committee of the Economic Agreement in 1980, Pedro Luis Uriarte. 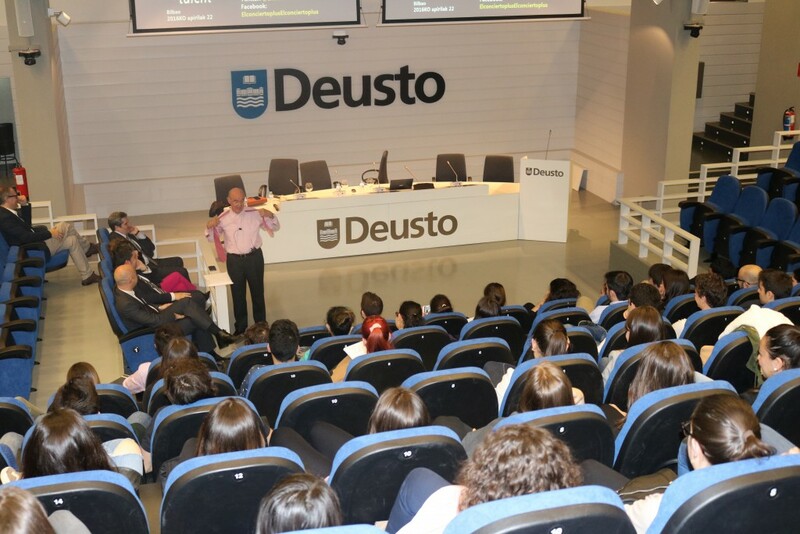 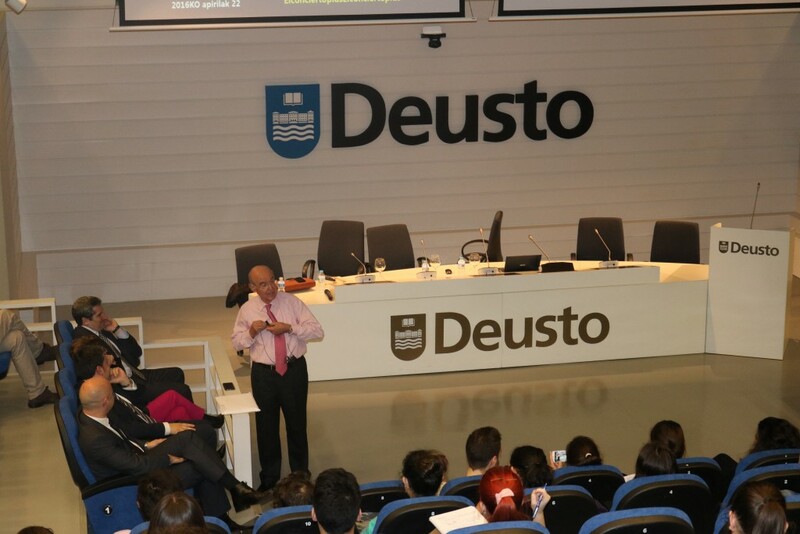 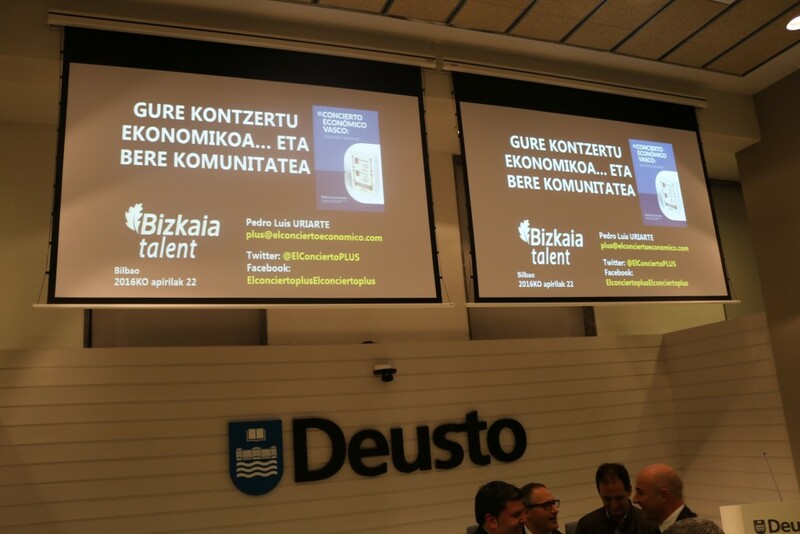 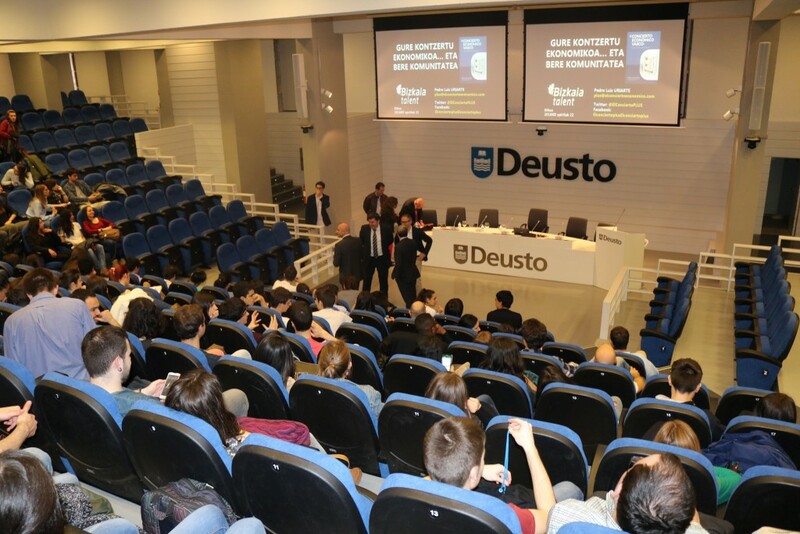 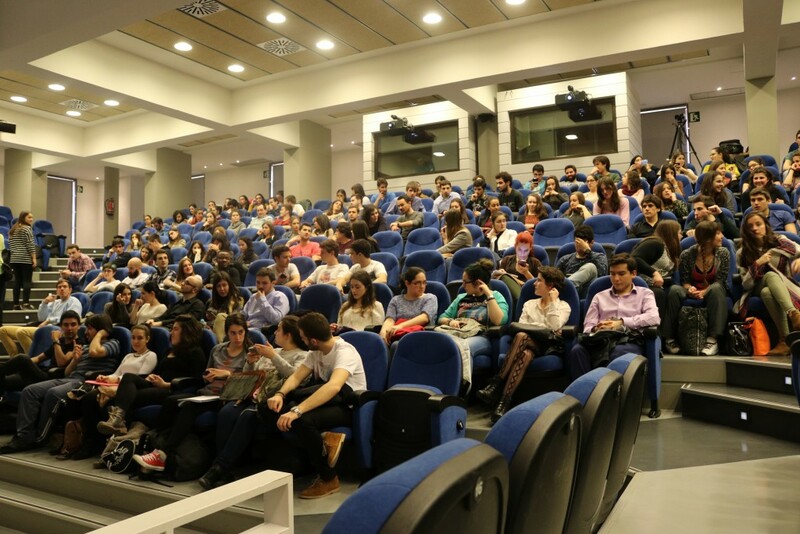 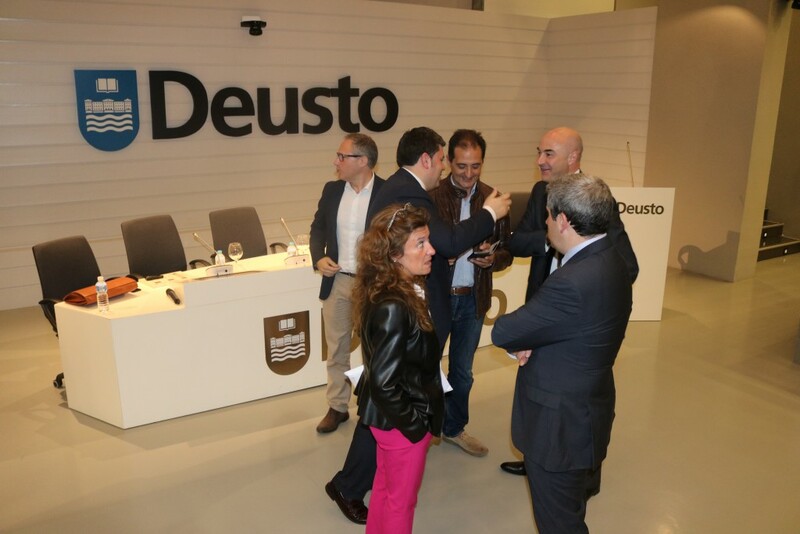 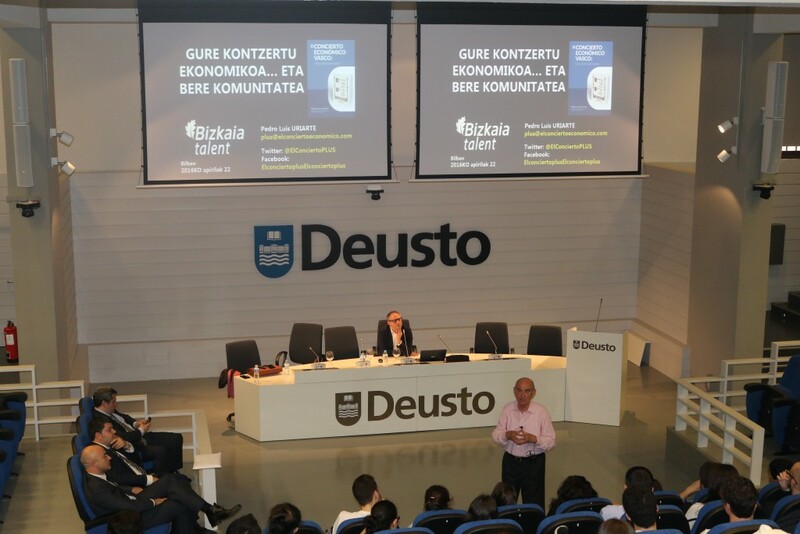 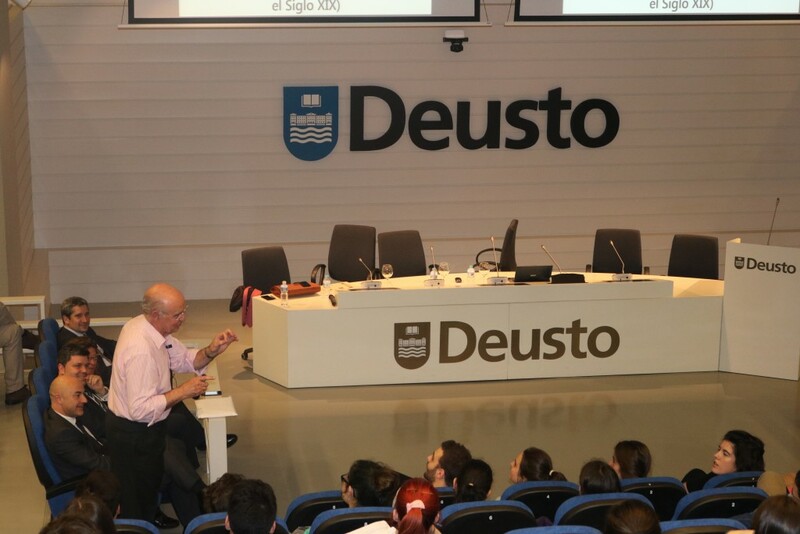 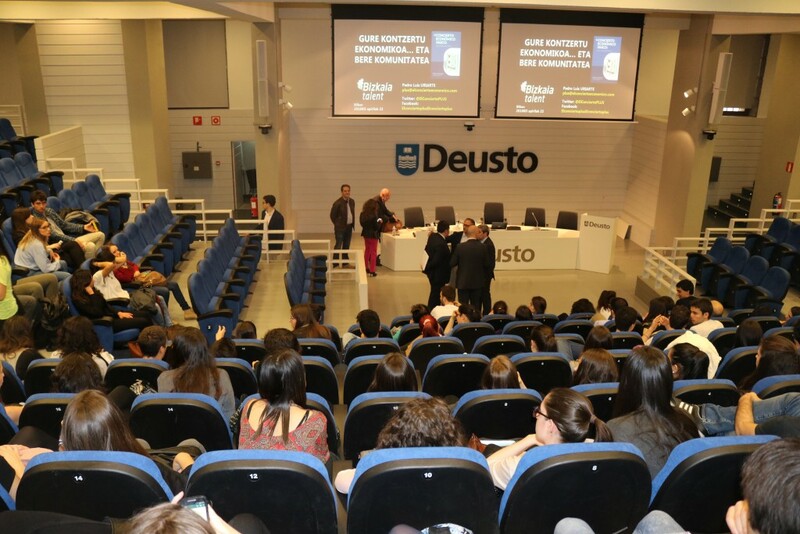 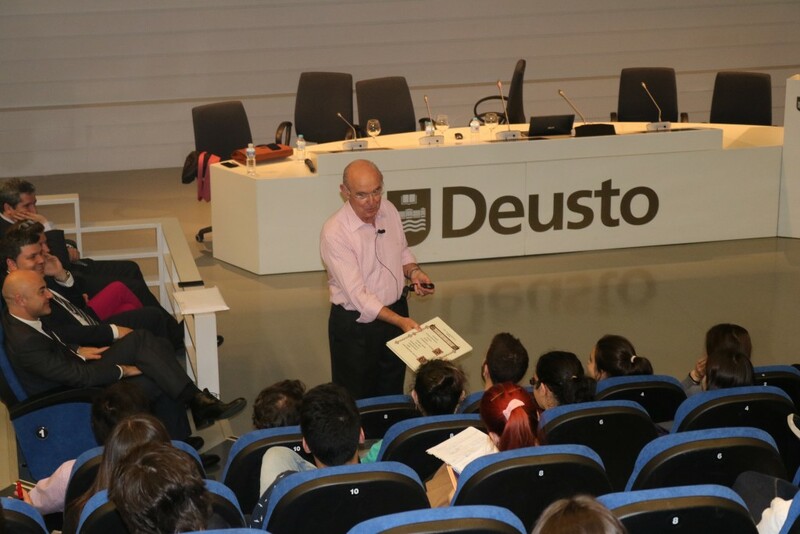 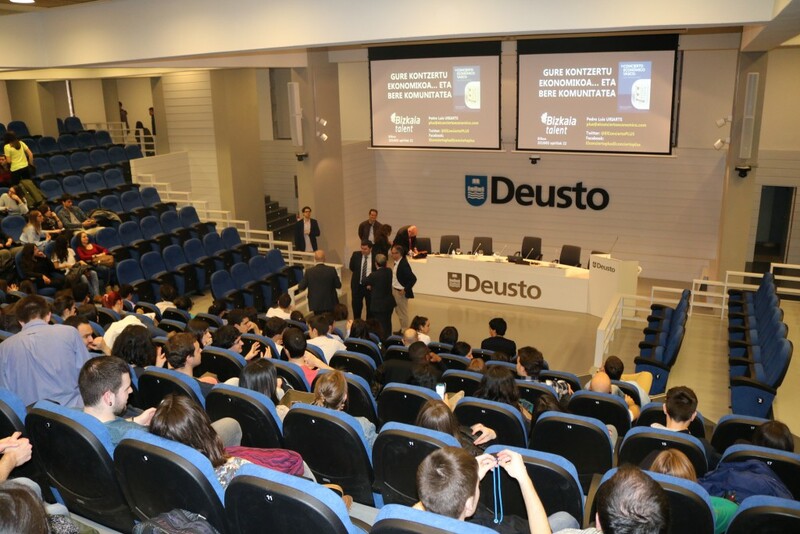 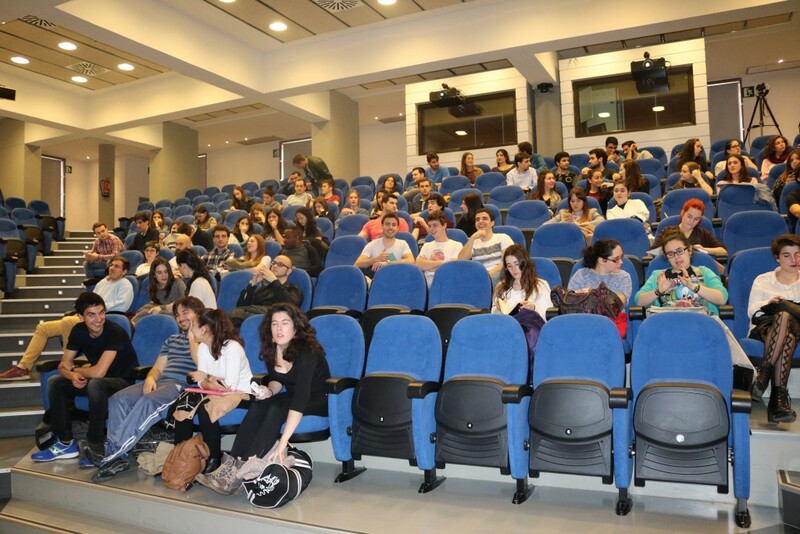 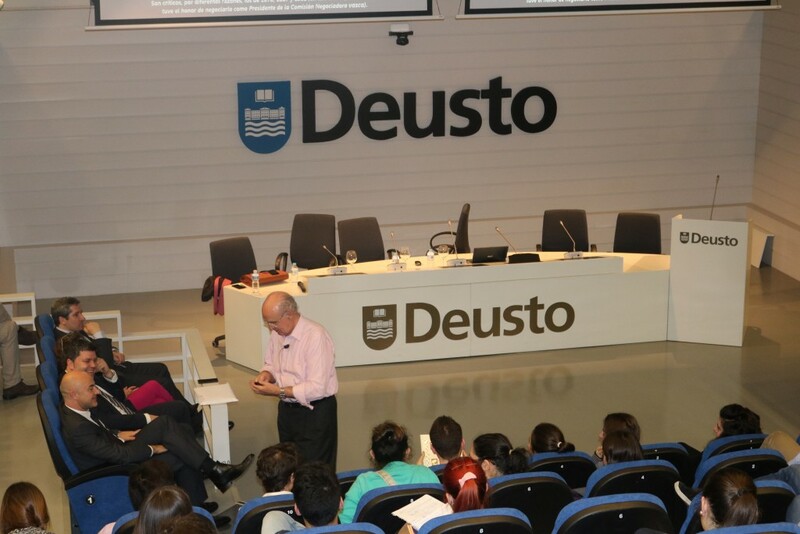 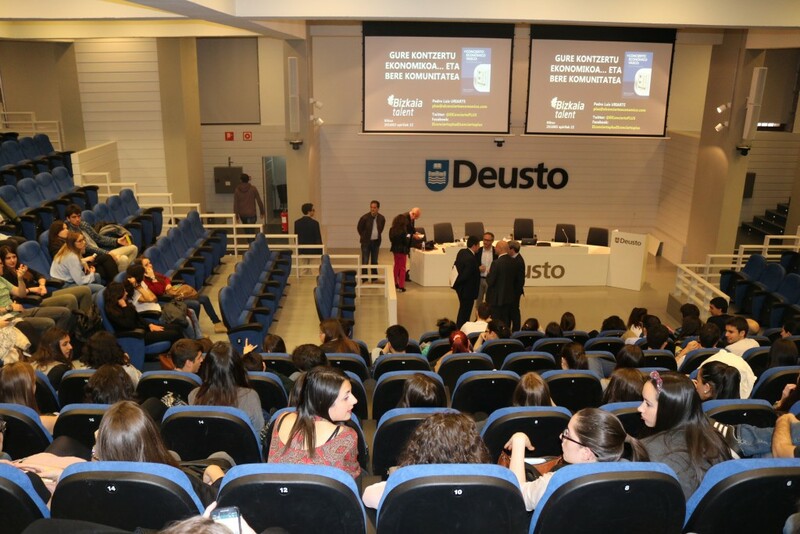 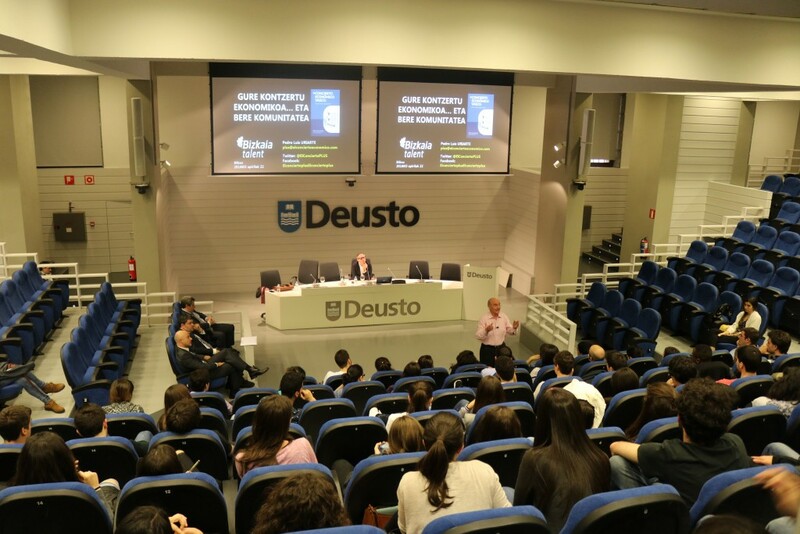 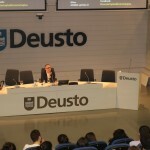 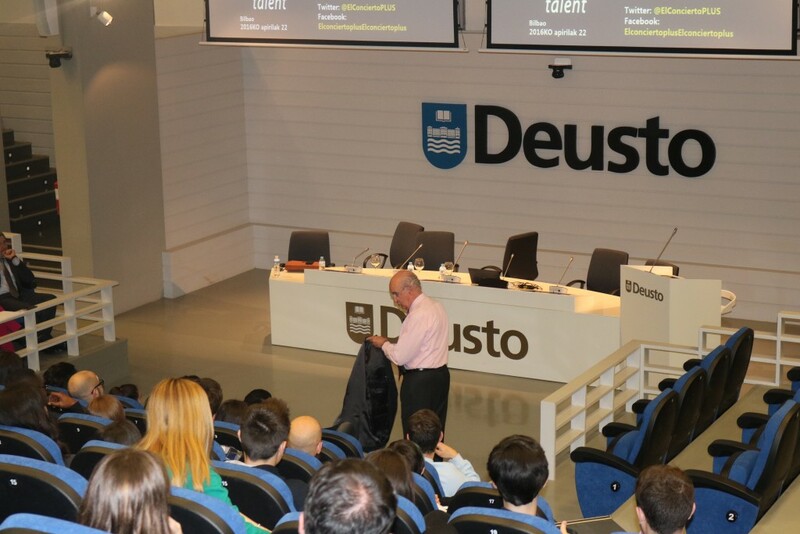 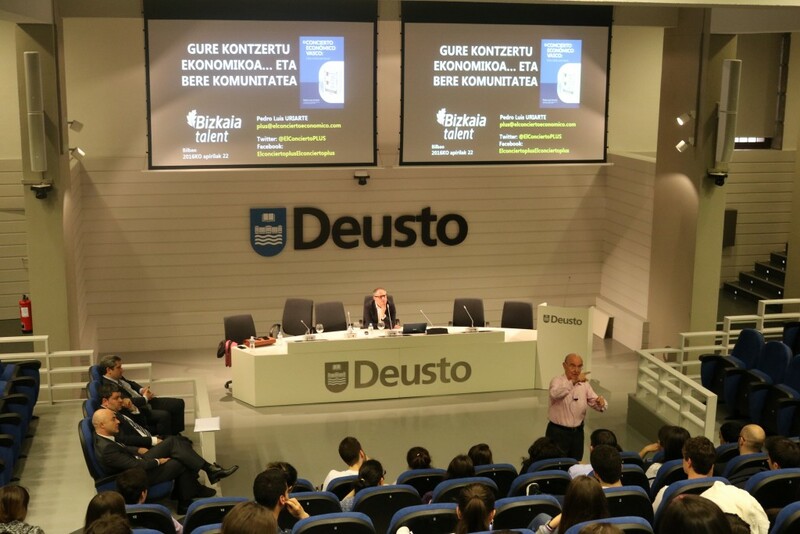 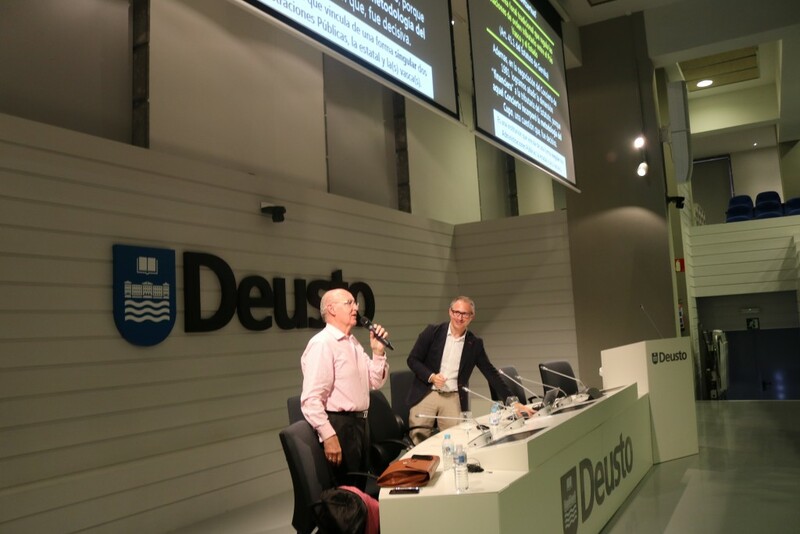 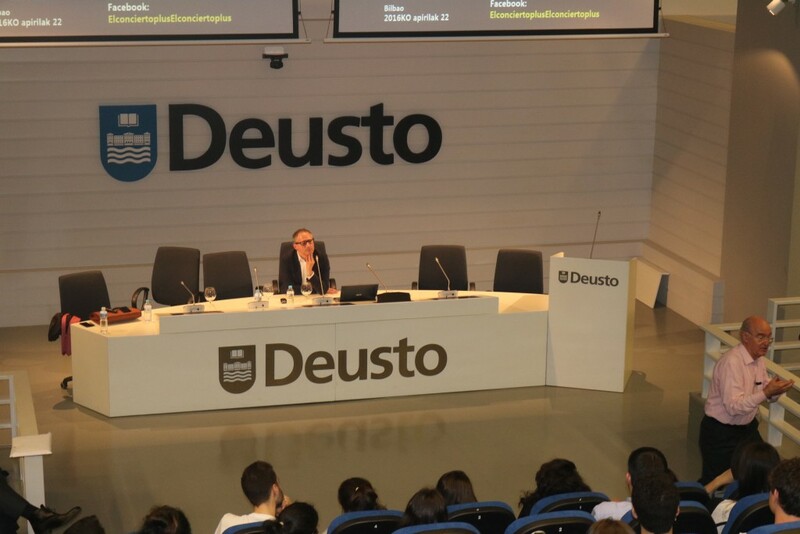 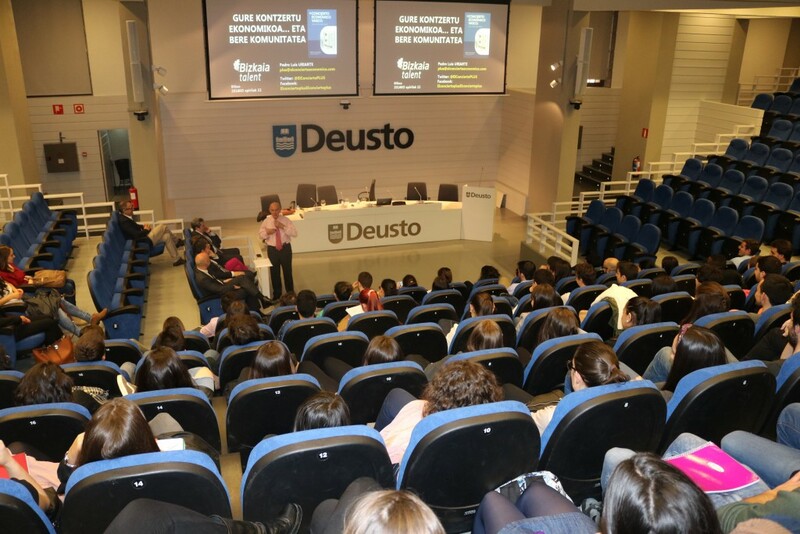 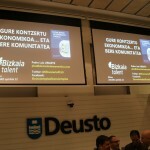 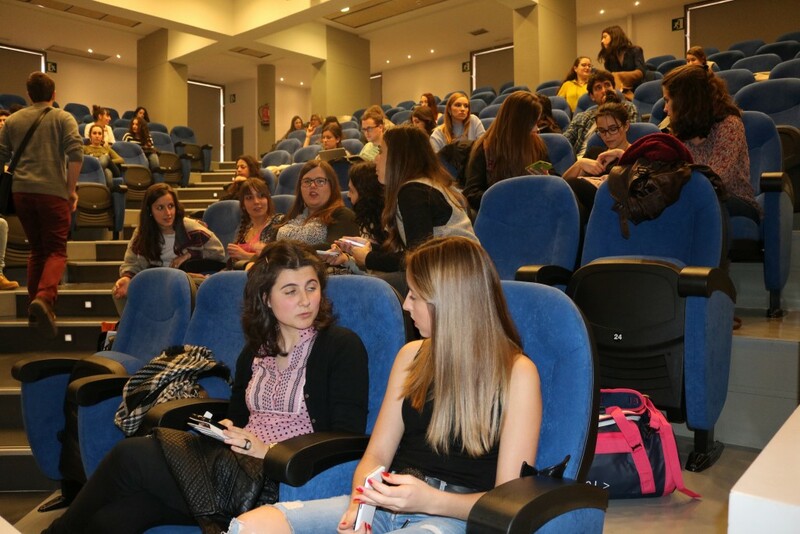 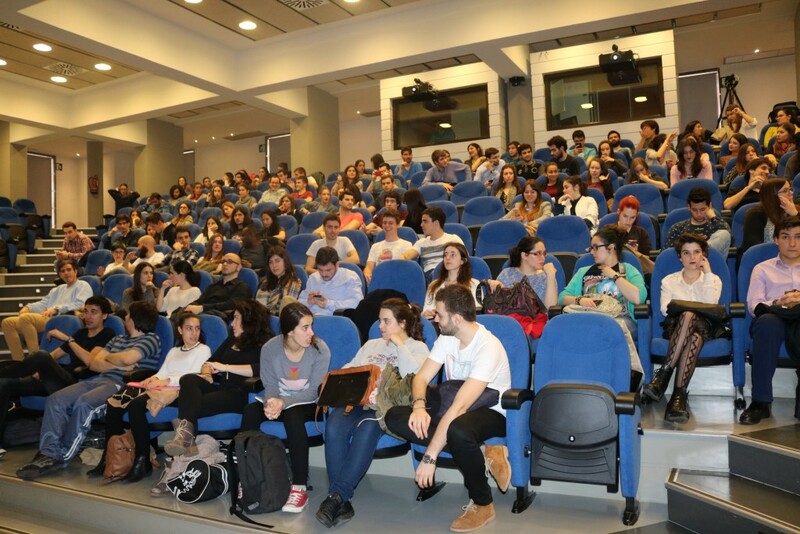 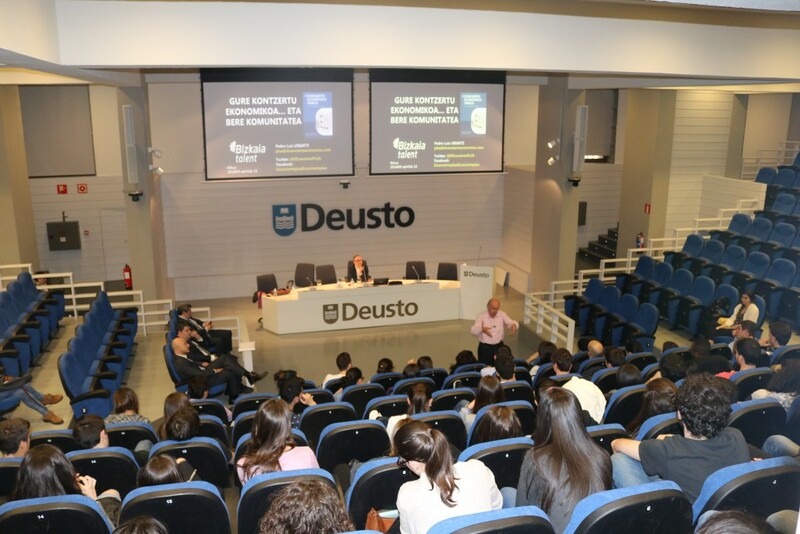 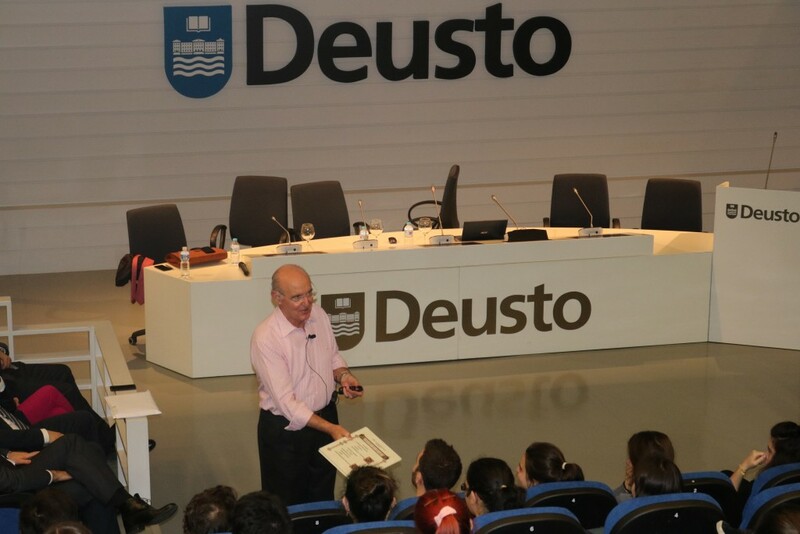 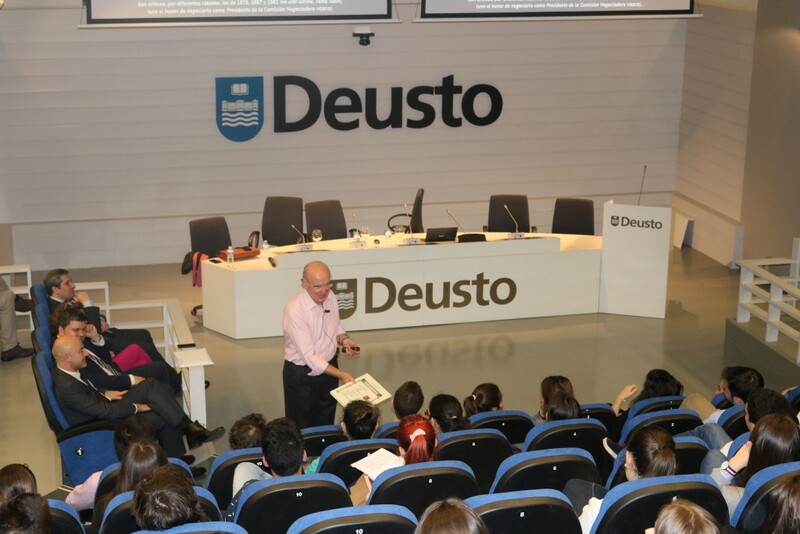 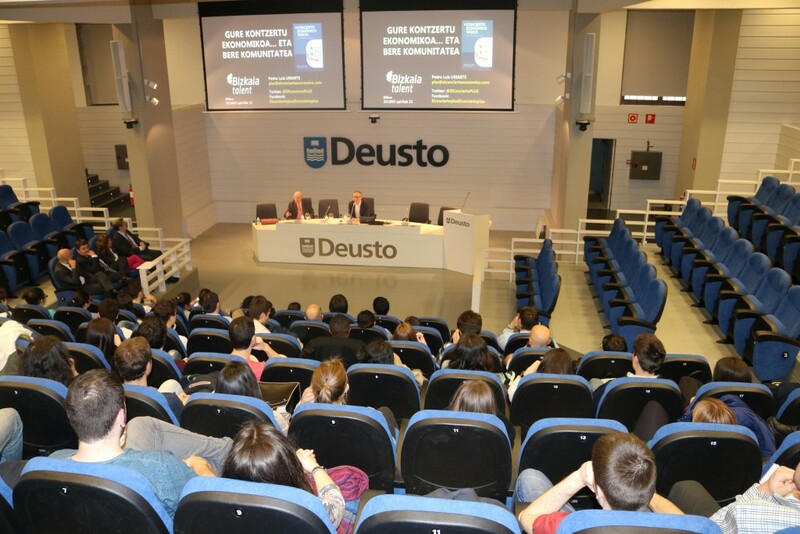 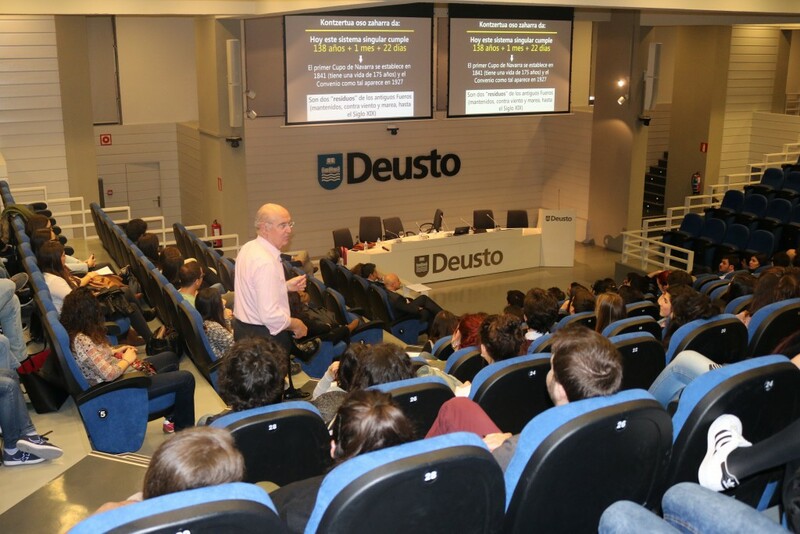 This initiative was carried out for the first time within the Talentia Programme and brought together participants from the three Basque Universities: University of Deusto, University of the Basque Country and University of Mondragon. 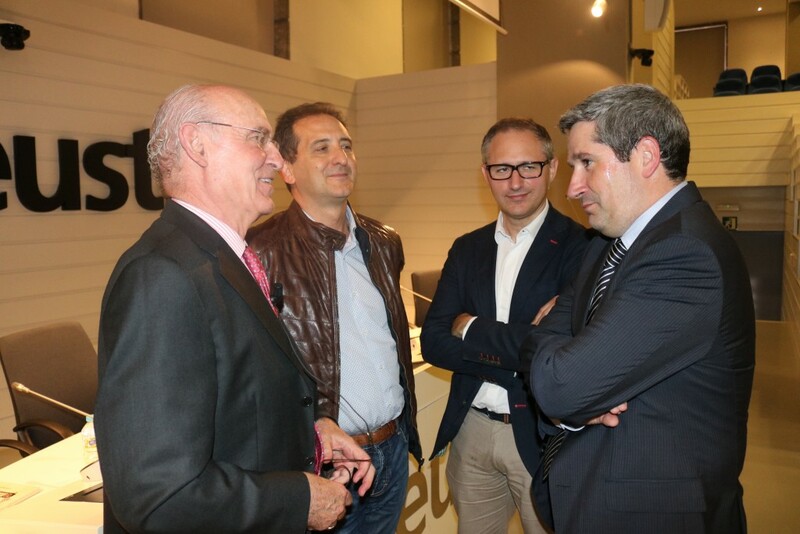 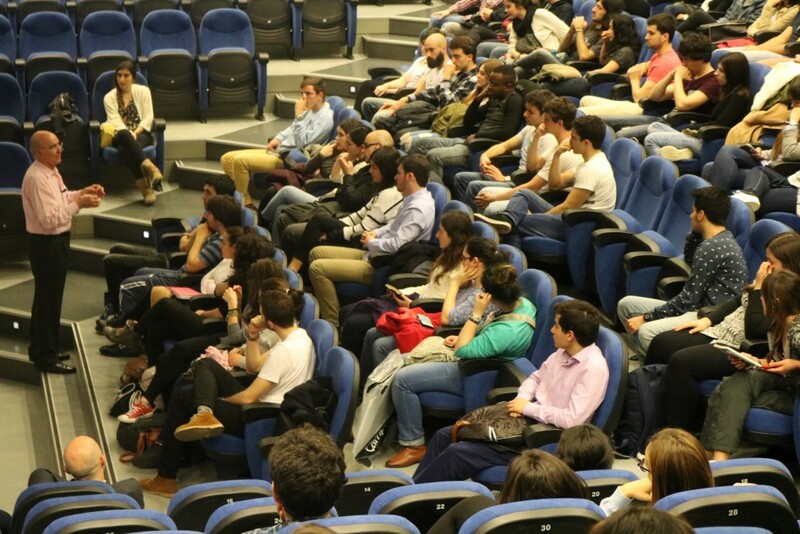 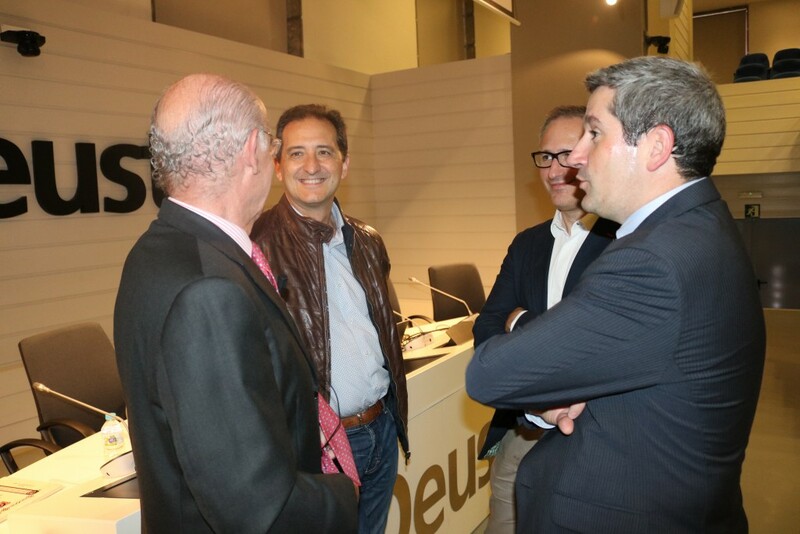 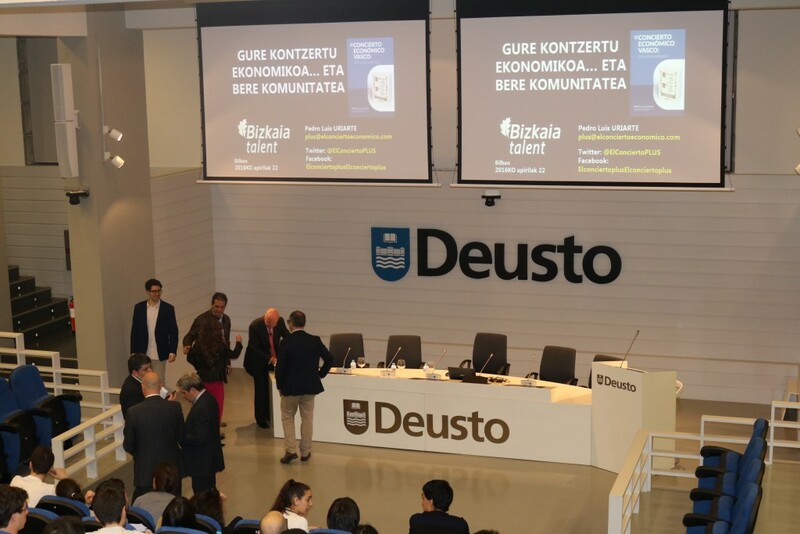 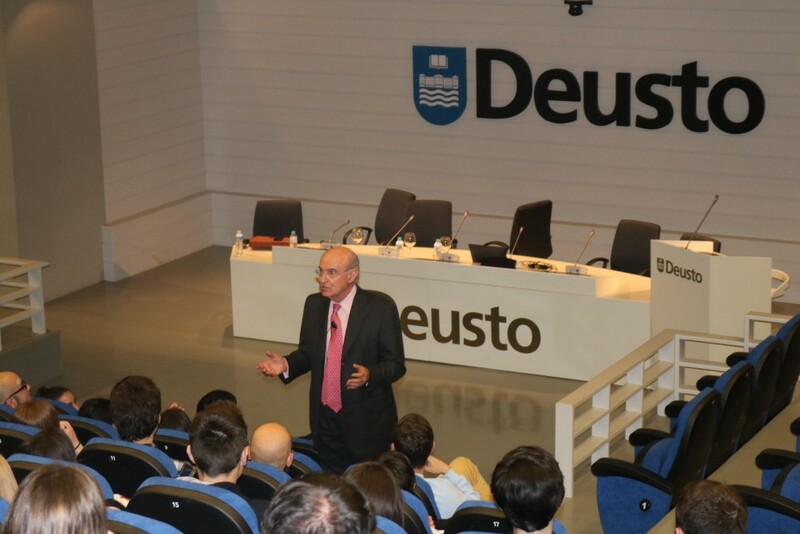 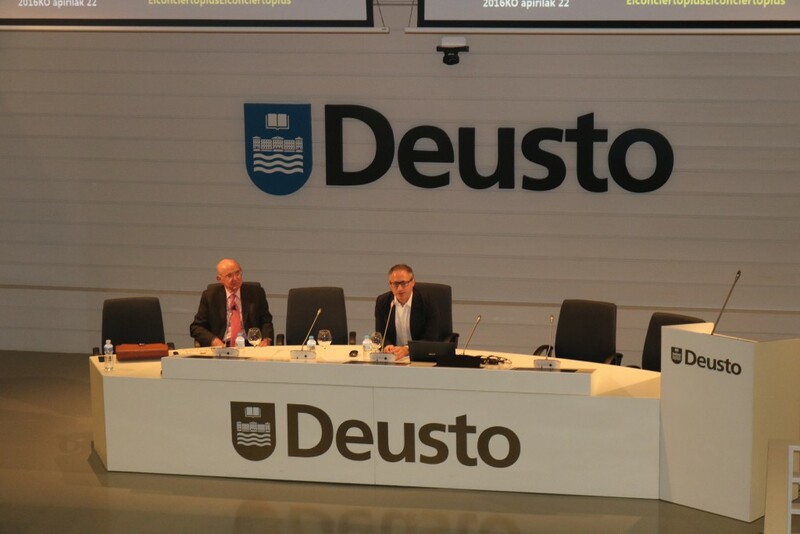 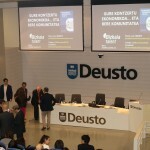 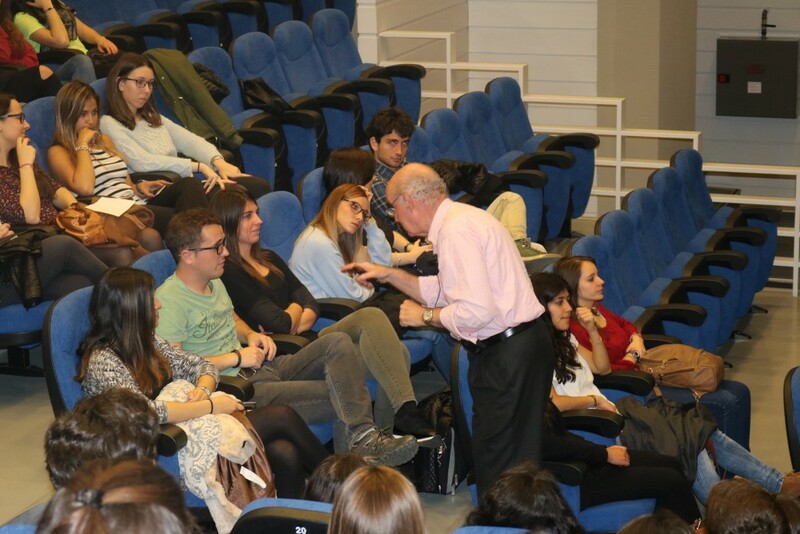 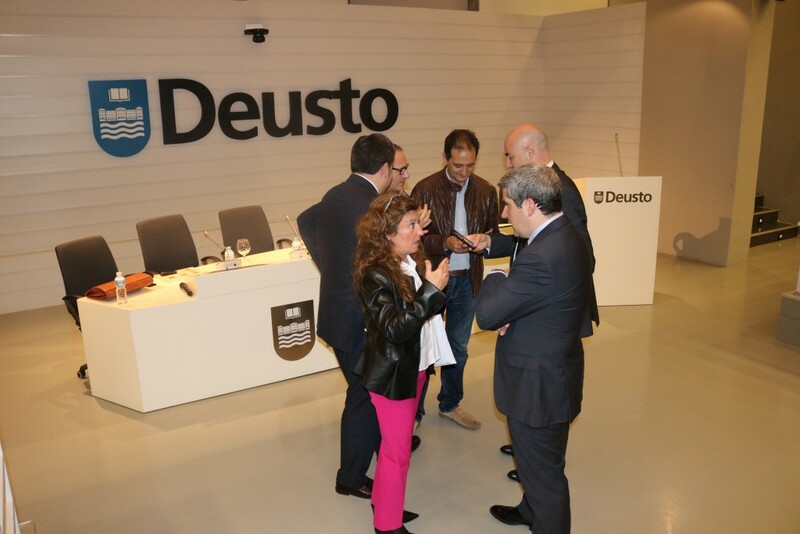 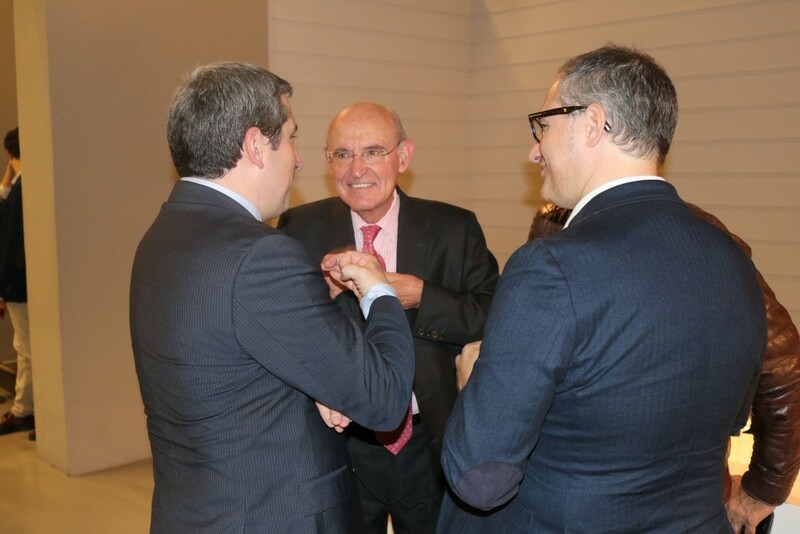 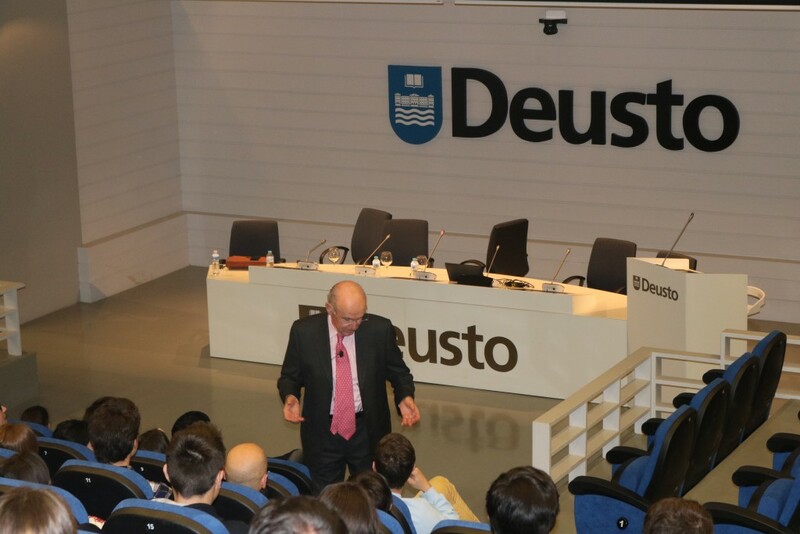 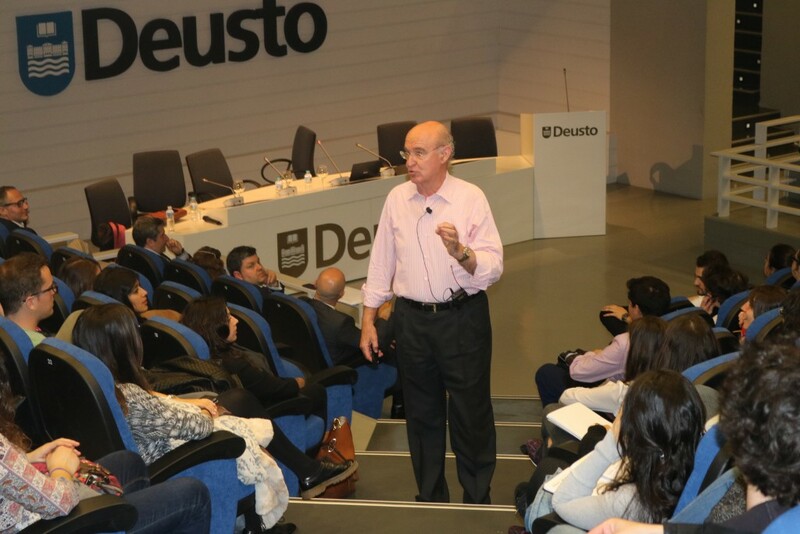 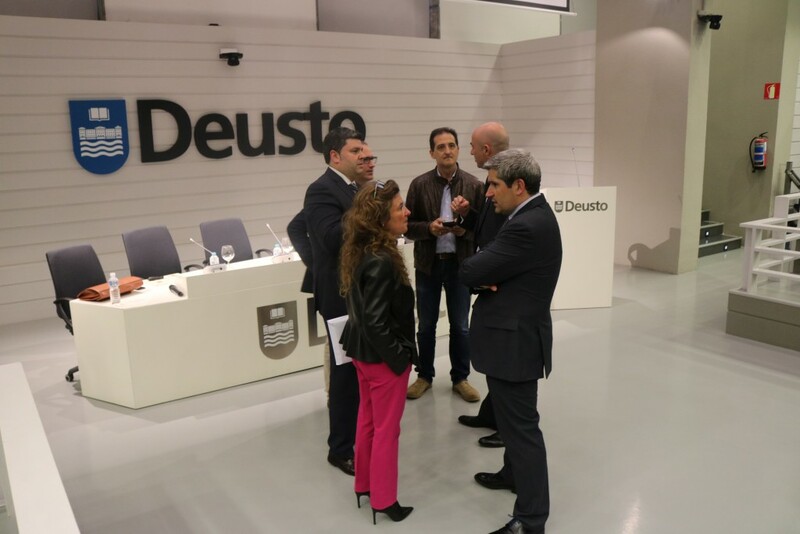 During his speech, Uriarte explained the most important characteristics of the Economic Agreement and the reasons why it is so important for the Basque society. 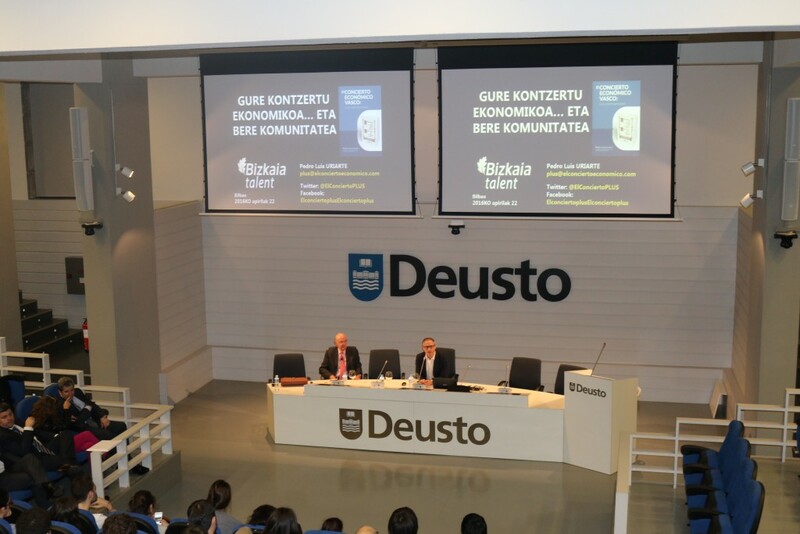 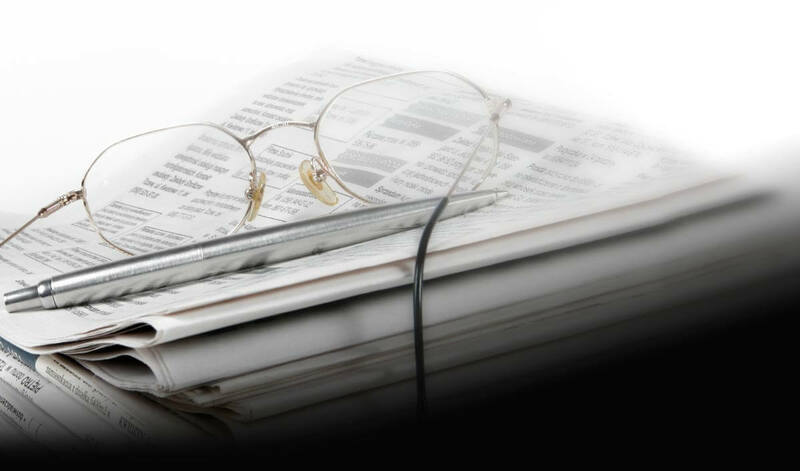 He also analyzed the different stages which the Economic Agreement has gone through throughout its history and the circumstances which have surrounded it during this time. 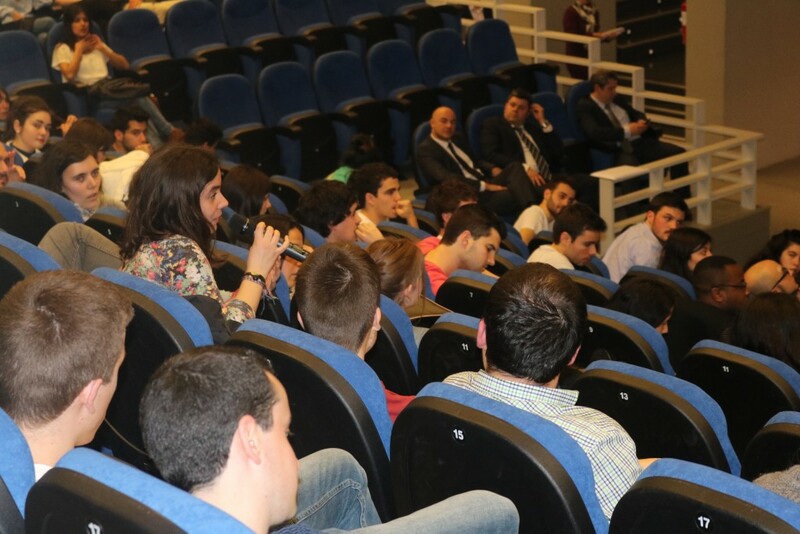 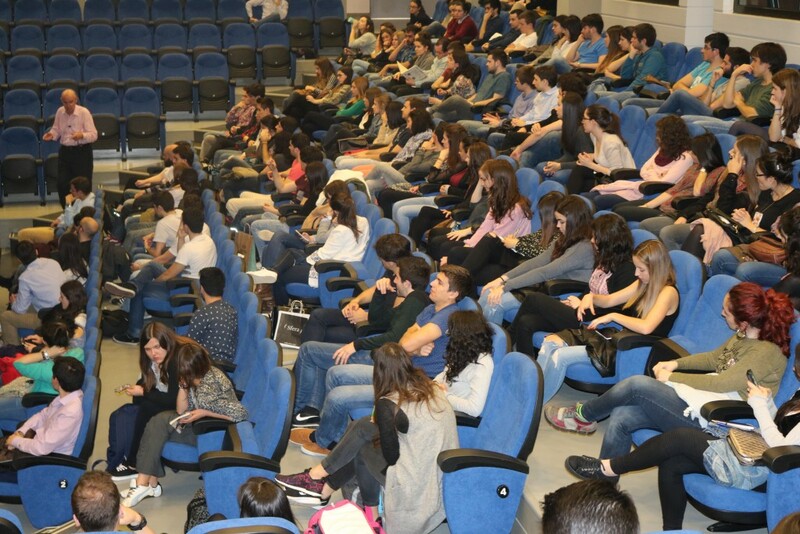 Moreover, he answered all the questions the participants of the Programme asked. 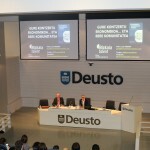 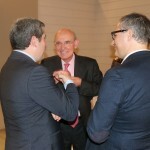 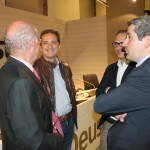 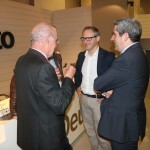 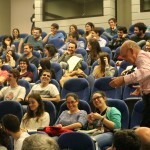 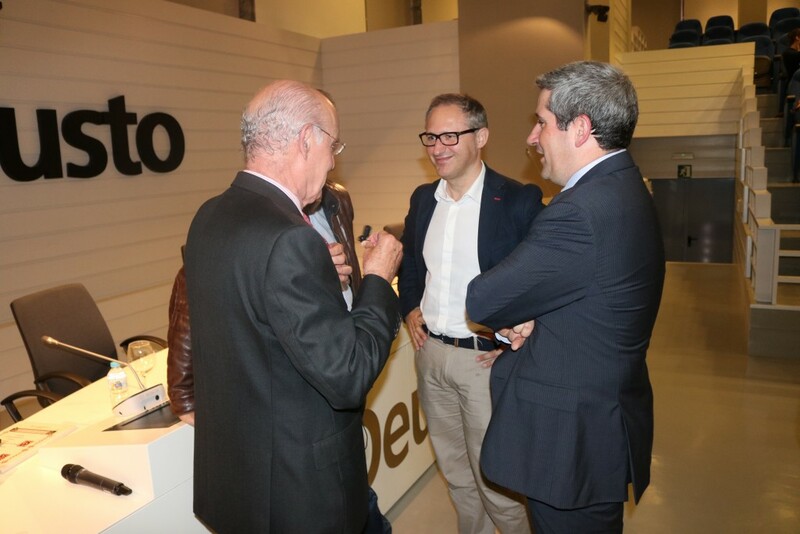 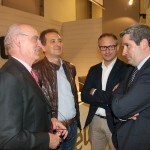 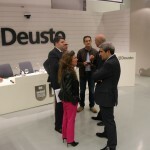 To collaborate and work on the dissemination of the Economic Agreement inside and outside the Basque society, Pedro Luis Uriarte and several collaborators have launched the website http://www.comunidadconcierto.com/, which has so far gathered nearly 1,000 friends, to foster the dissemination and promotion of the work.